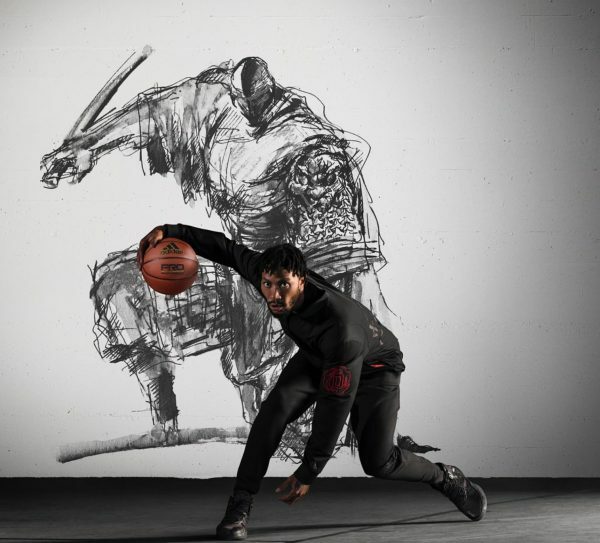 adidas has become a fashion brand for young people with its superior technology and innovative design. 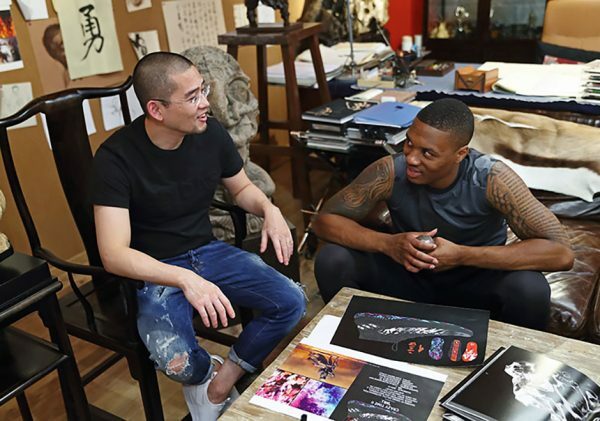 The basketball promotion activities in July ,there are many stars showed the : Derrick Rose, James Harden and Damian Lillard are promoting their shoes.The Andrew Wiggins with adidas Crazy Explosive released. 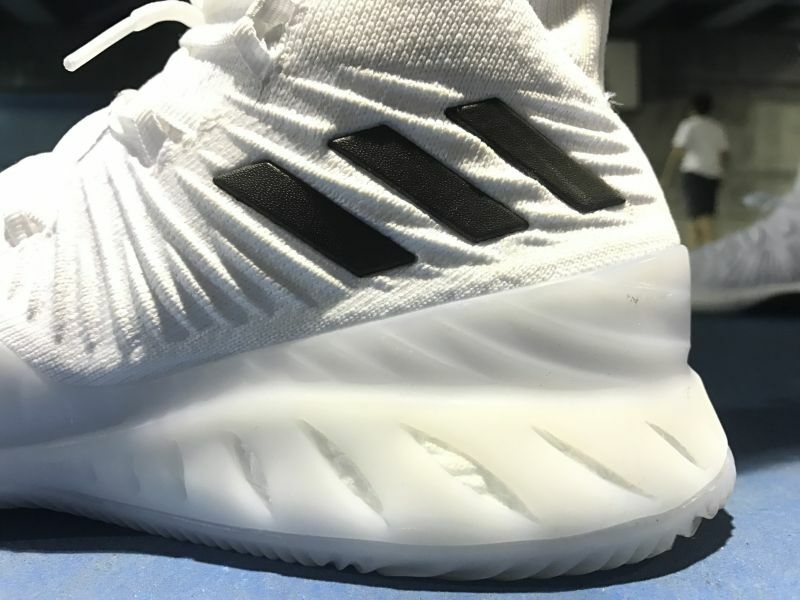 The third version of the John Wall,but because Wall no longer cooperate with adidas , the shoes did released last year, because the overall shape and design have reached the completion stage. 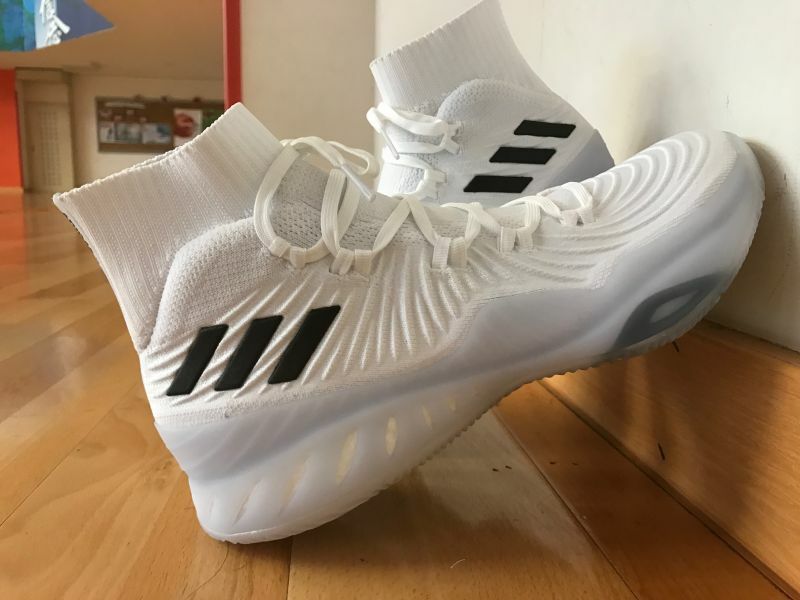 So design director Jesse Rademacher decided to officially launch under the name of Crazy Explosive after adjusting the specifications this year. 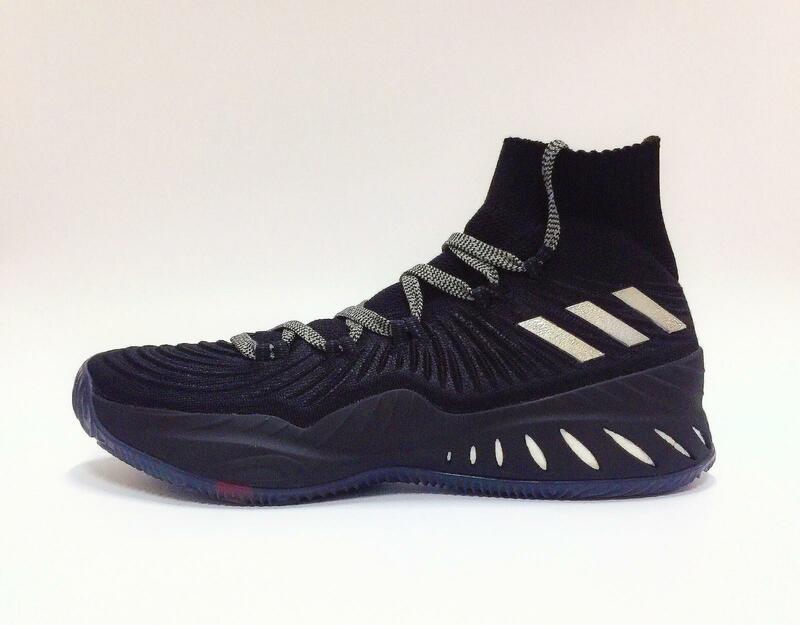 In addition to Wiggins’ proprietary PE version, the design team also designed for the distinctive Lakers small forward Nick Young, and the adidas stars, including Harrison Barnes and Ibaka ( Serge Ibaka), Marcus Smart and Justise Winslow, etc., They will play with Crazy Explosive in the new season. 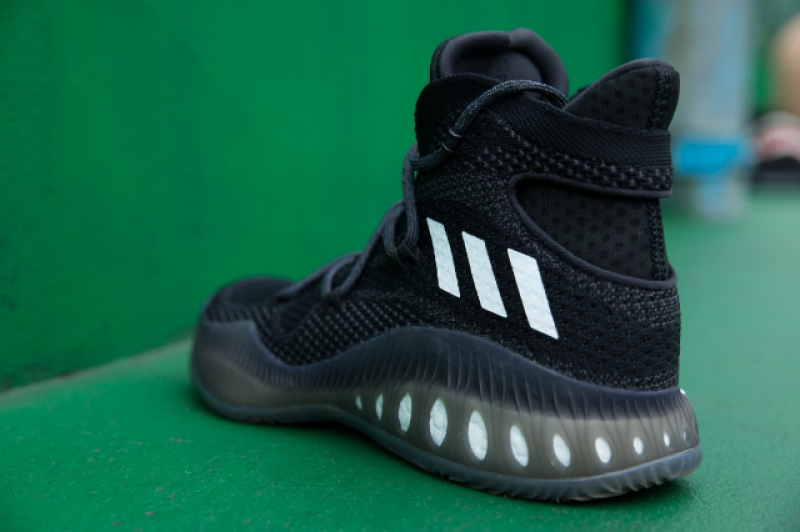 Crazy Explosive released by adidas .The design of the shoes is inspired by the Y3, which is quite different from the general shoes. 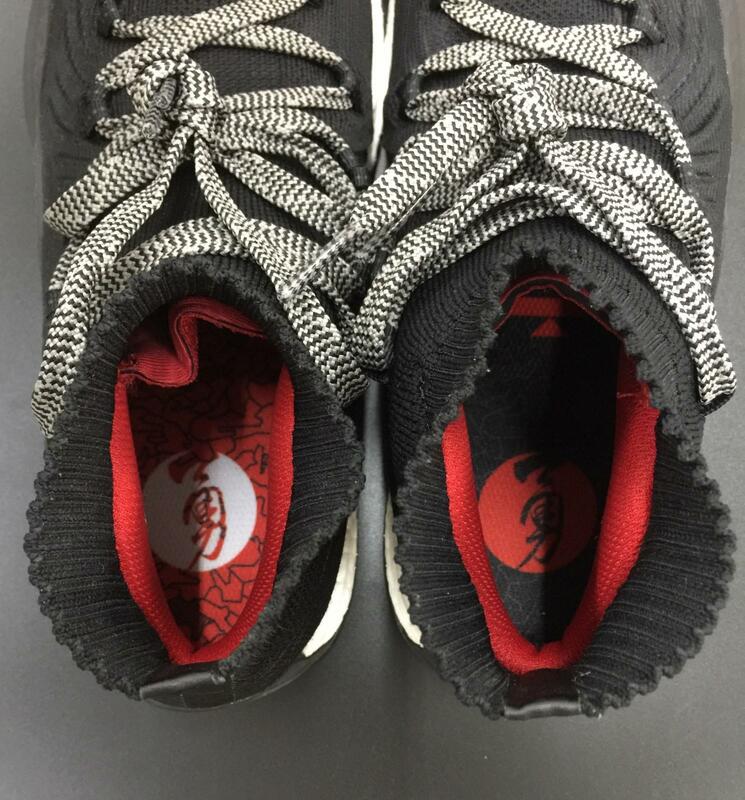 In addition, the upper material used Primeknit woven structure, which makes the shoes both breathable and lightweight, and I feel very trendy on the styling. 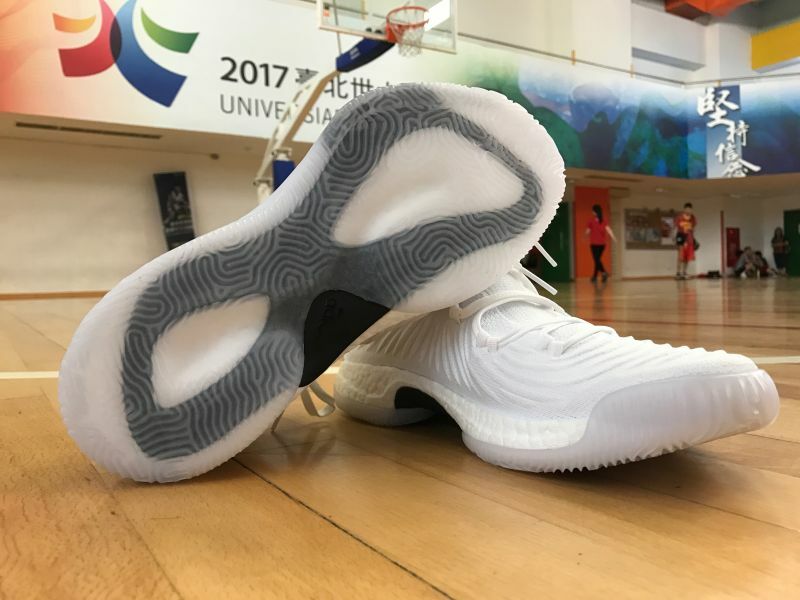 The whole pair of shoes–the cushioning part is equipped with a full-boost Boost cushioning system, and the lateral side is equipped with a TPU anti-rollover structure, which can stabilize and support the forefoot, and transmit the force to the sole of the foot stably, and hand it to Boost. 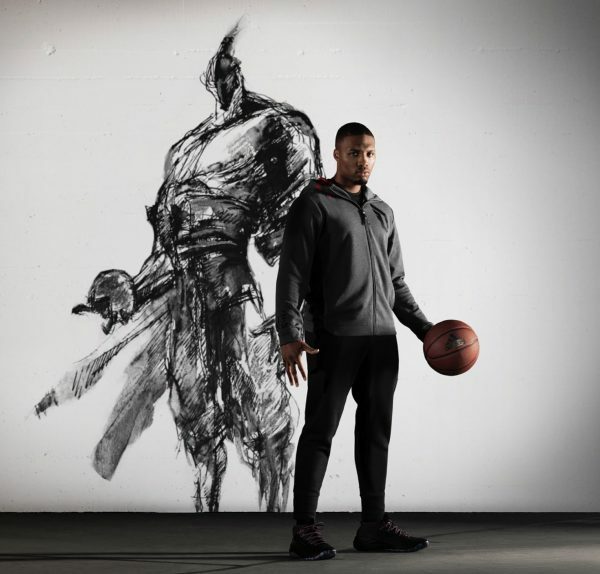 Showcases the signature performance of the feedback elasticity. 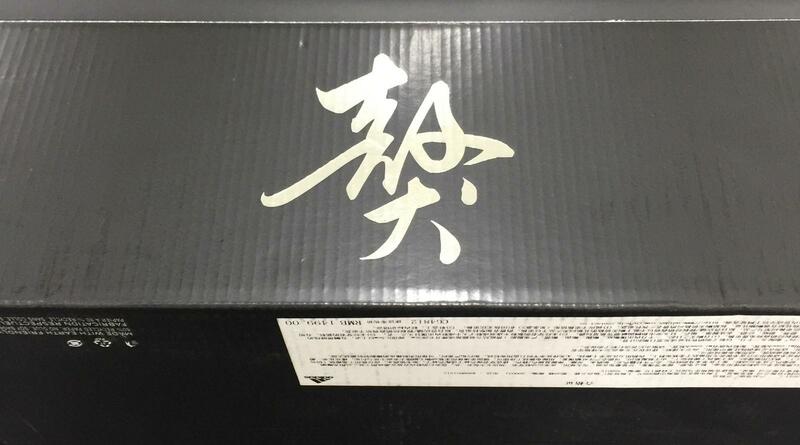 After receiving the shoes, you will see the BOOST on the side of the shoe box. 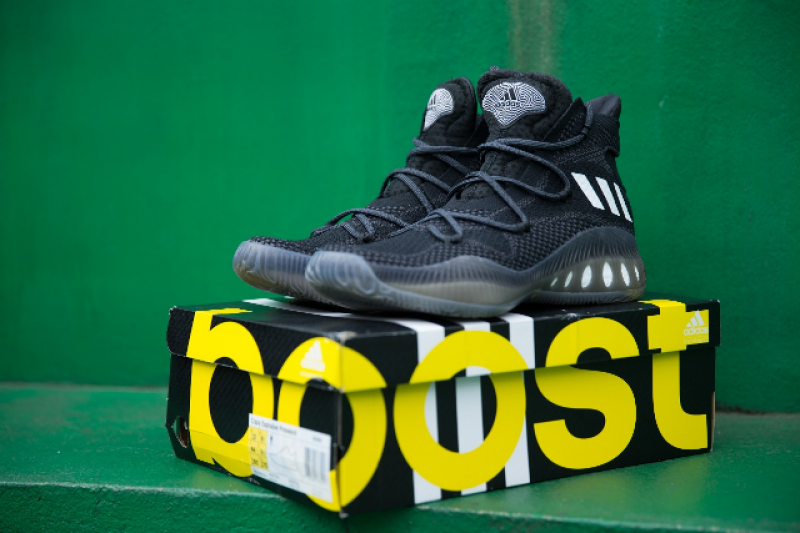 If the BOOST cushioning system is the soul of Crazy Explosive, the image part must be the snow boots and the Primeknit weave. 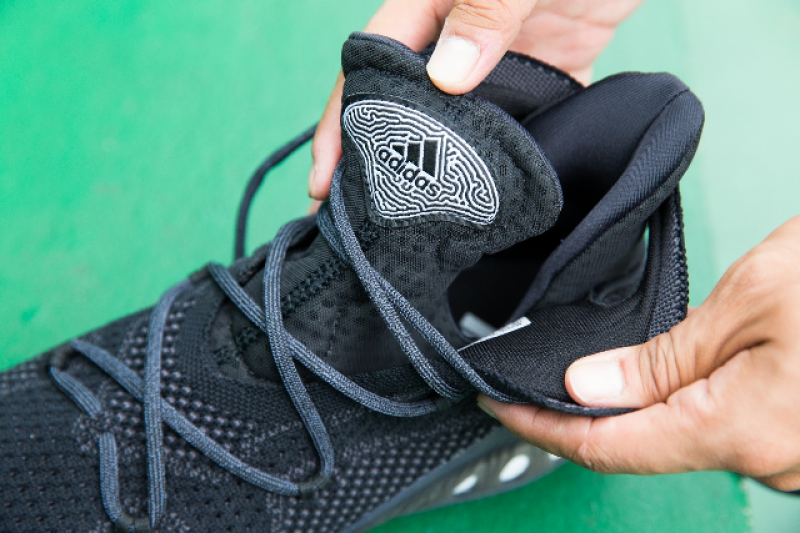 The shoelace design with only 4 pull tab is very stylish, as if the concept of rope binding is pulled by the thick ropes on both sides, it will make people doubt its stability, but in particular, Crazy Explosive is tied at the last one. 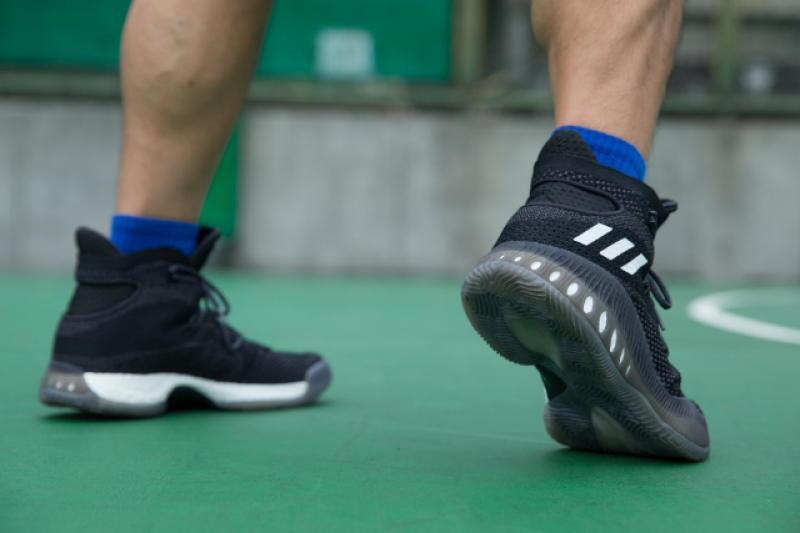 The sole is seen with a “8”-shaped Torsion stabilizer for more stable power transmission, while the outsole is based on the principle of traction , introducing an innovative coral-like design that targets the forces from different directions when playing. Both can show excellent grip. 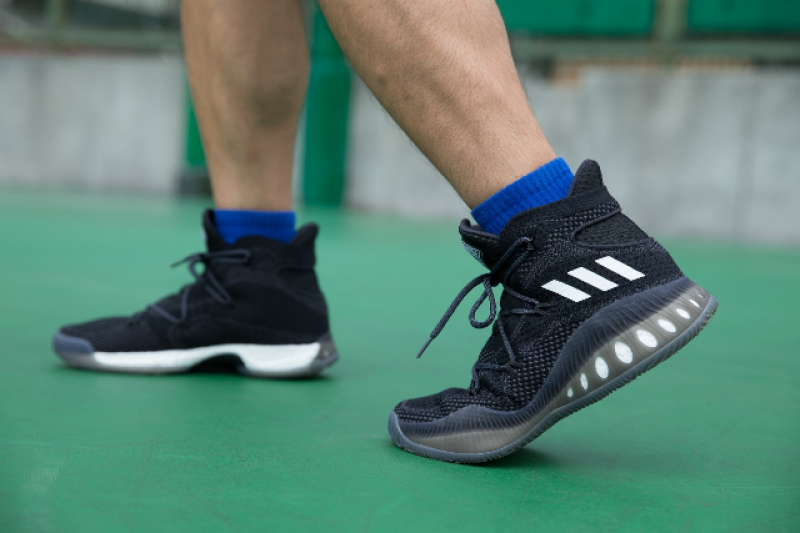 Crazy Explosive is not only equipped with full length booties to fit a variety of foot shapes, it is stabilized in the shoes, and the tongue part also uses the unique GEOFIT foam to improve comfort and support. 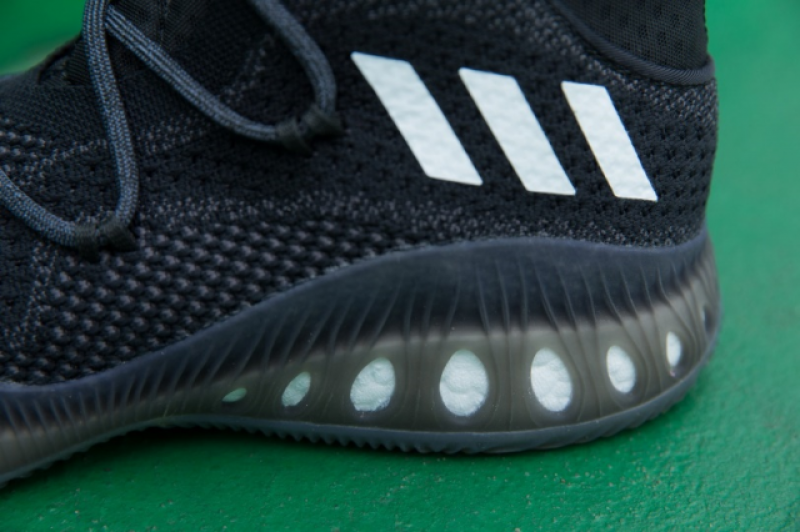 The tongue part uses the unique technology GEOFIT foam to improve comfort and support. 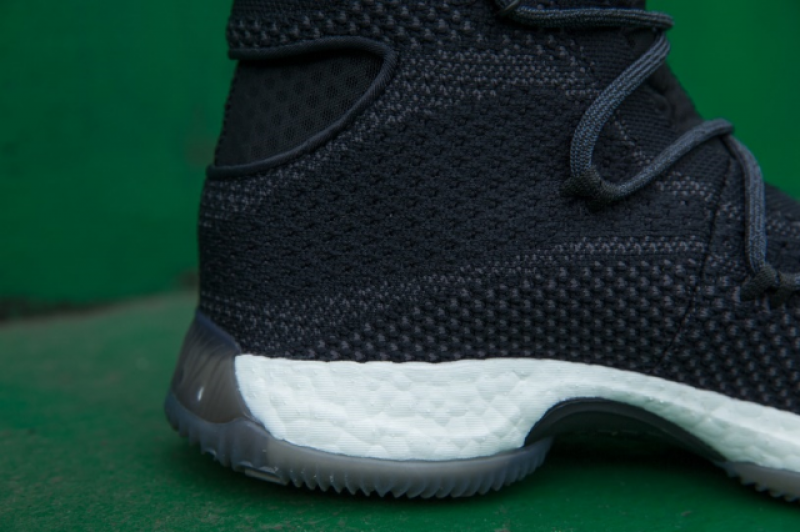 Primeknit weaving makes the shoes extremely lightweight. 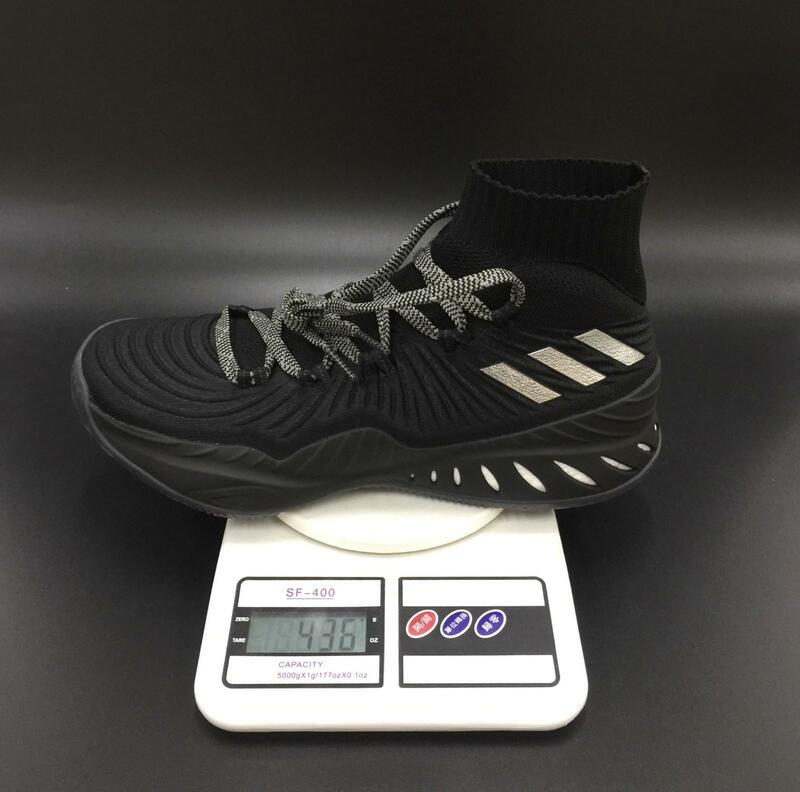 The whole pair of shoes has been tested for more than 400 grams. It is quite lightweight , but the weight is just basic. 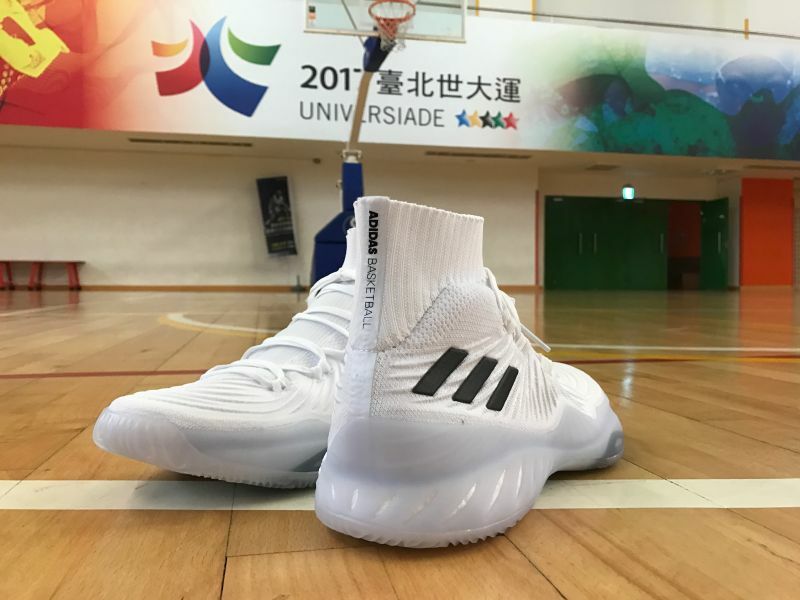 It is understood that the Crazy Explosive is a pair of basketball shoe, so the design focus is not only to be comfortable. 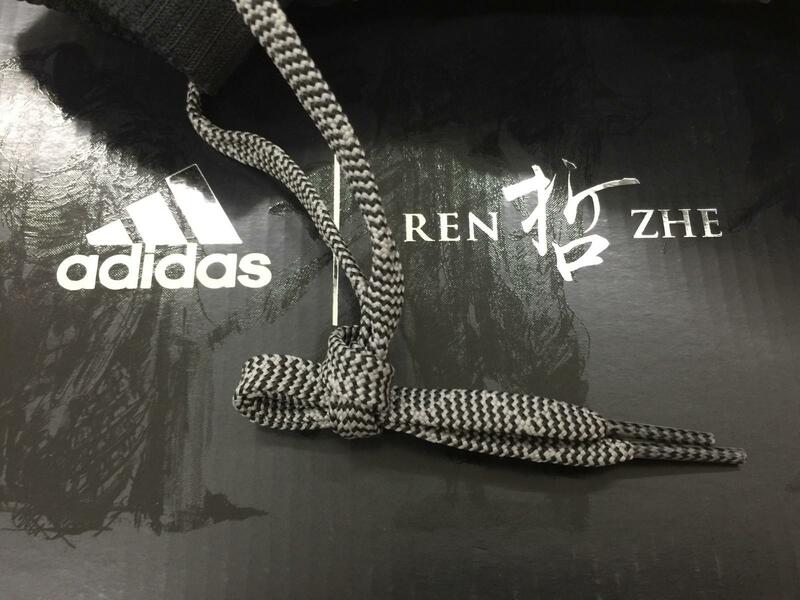 The design team changed the suitable weaving and stitching materials on the upper for different parts. 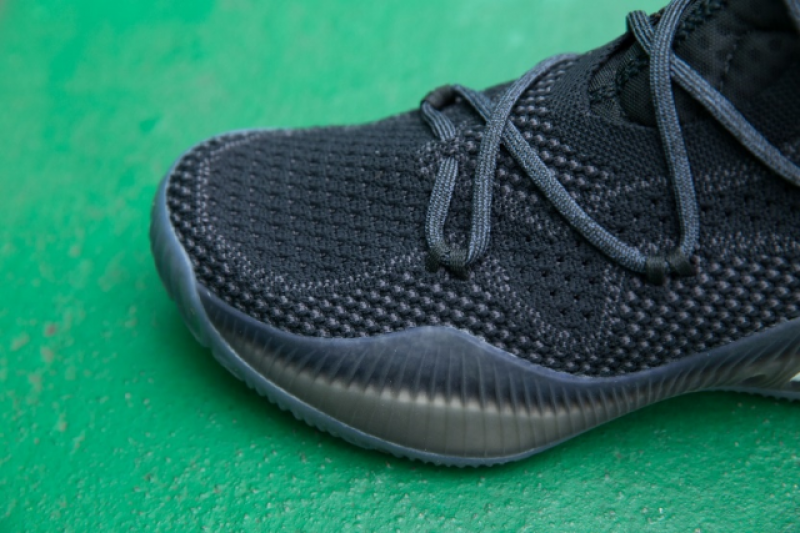 The appearance also showed different patterns, and it was dotted on the low-file black. 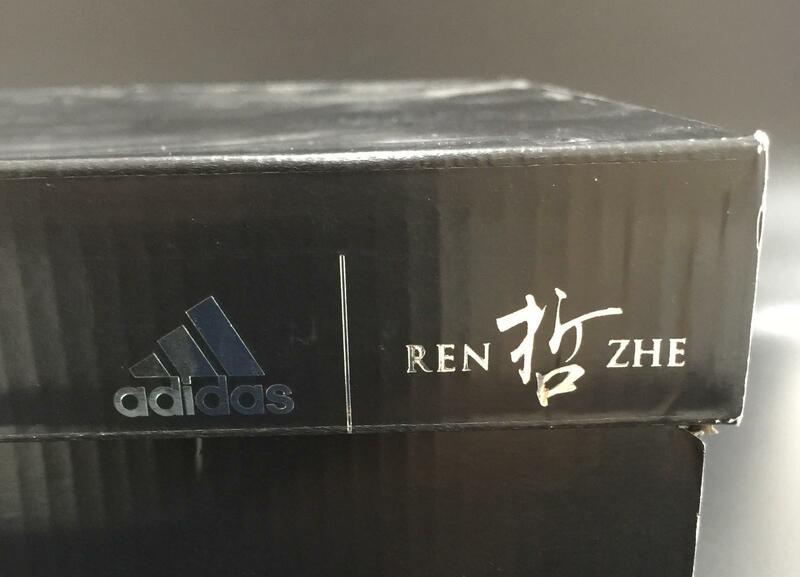 Crazy Explosive shoe box with huge BOOST lettering. 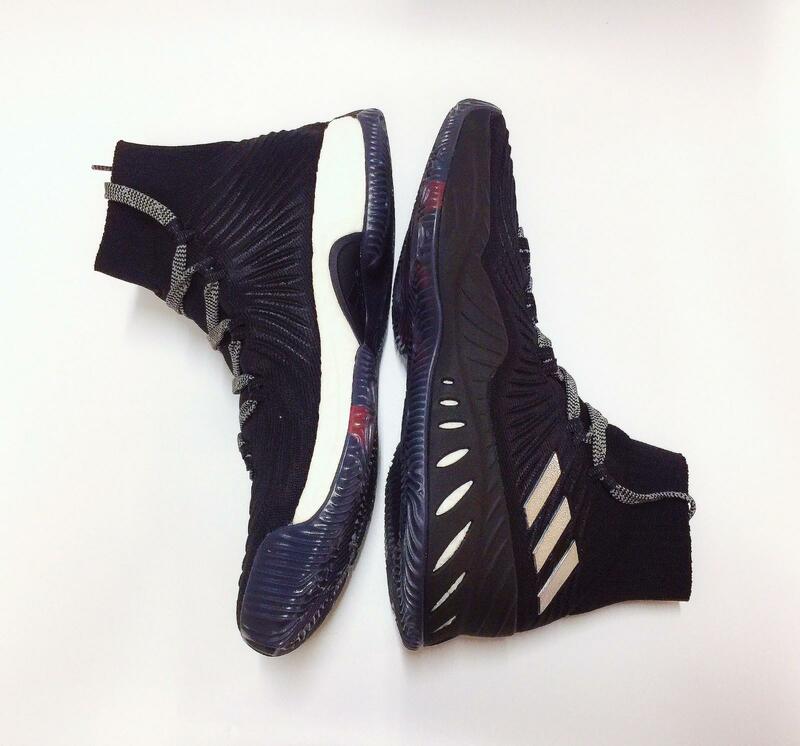 The adidas Crazy Explosive 2017 Primeknit retains the same setup as last year’s Crazy Explosive — full-length Boost with a soft TPU cage on the lateral side of the shoe while the medial side exposes the Boost. Like its predecessor, the cushion is beast-mode. The protection of these ankles is originally the advantage of high-shoes. 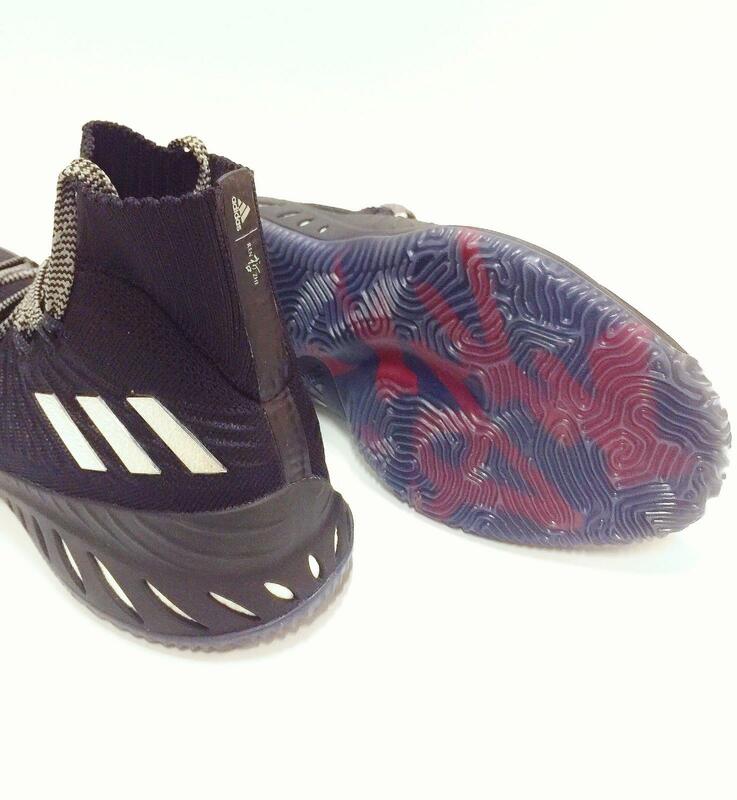 I don’t think Crazy Explosive is more diverse in this performance. 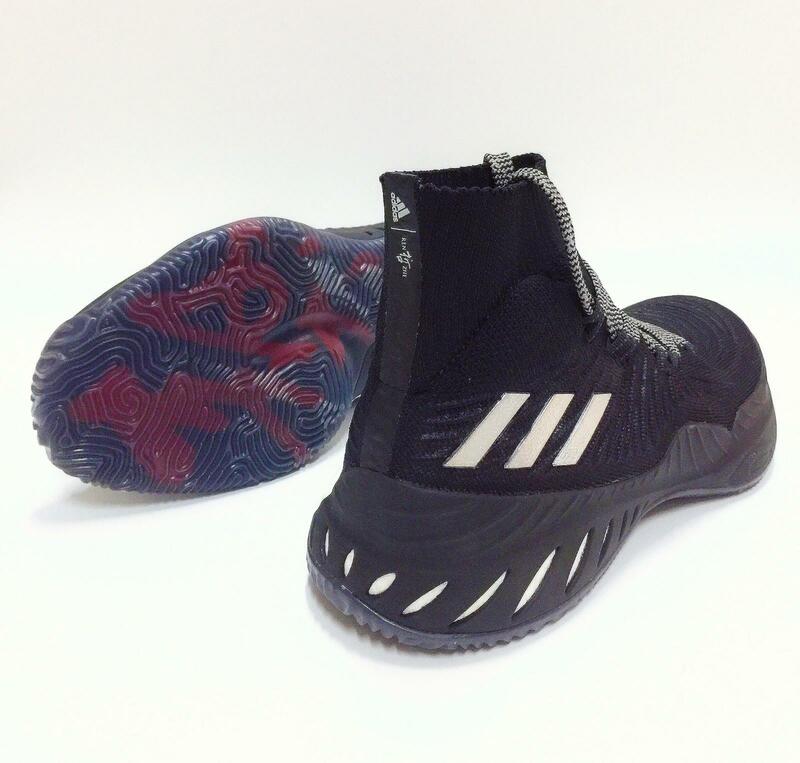 In addition to the sense of protection, it depends on the shoe upper and The foam design provides a lot of flexibility, testing each twist angle will not get stuck or rubbed to the foot, the outer TPU rollover structure help a lot. 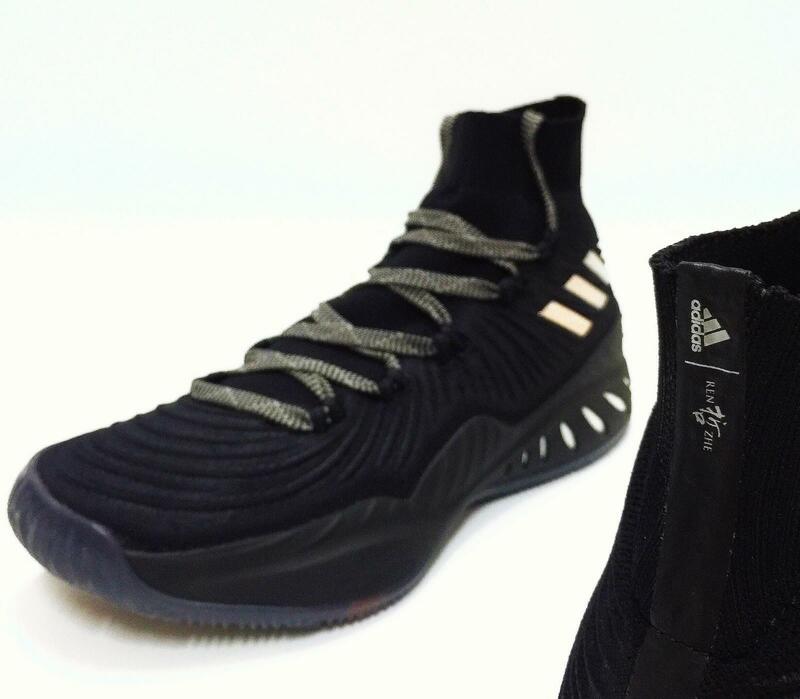 Crazy Explosive does have the qualification to challenge this sentence. 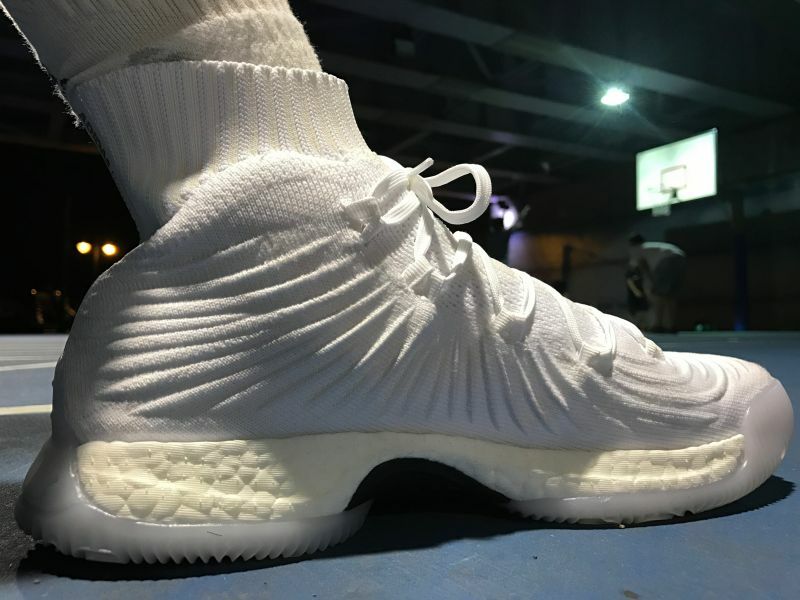 As the leader of the adidas new generation of shoes, the symbolic status is not only superior to other shoes such as BOOST, but more importantly, in the bold and innovative style, It also redefines the practical value of wrap and stability.the adidas Crazy Explosive 2017 Primeknit has a pretty broad base. 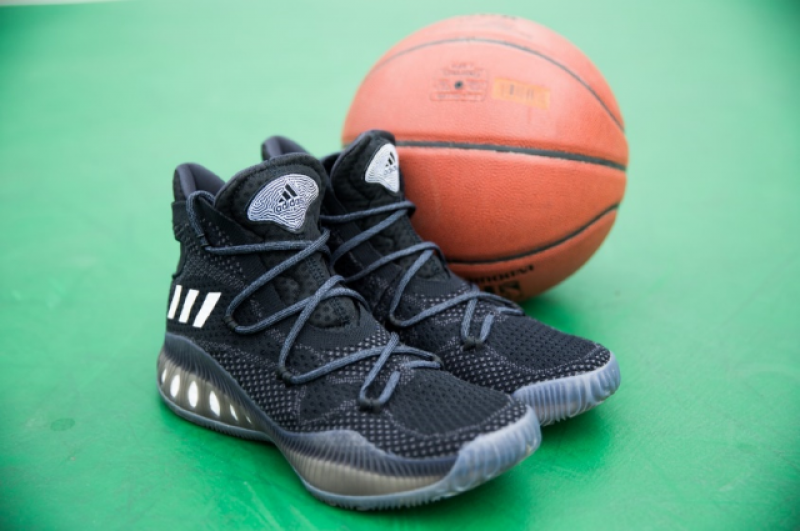 Moreover, your foot sits inside of the TPU roll cage to offer the lateral support we loved so much in the Crazy Explosive last year. 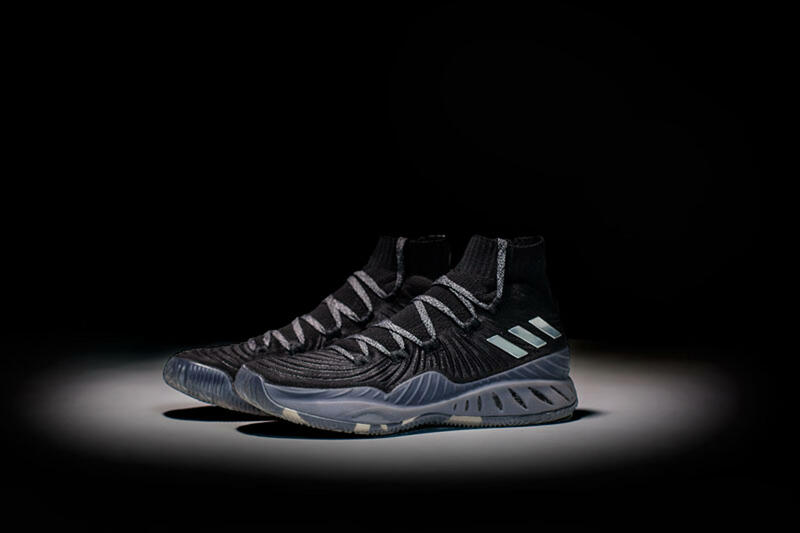 Overall,The adidas Crazy Explosive 2017 Primeknit is a great shoe! 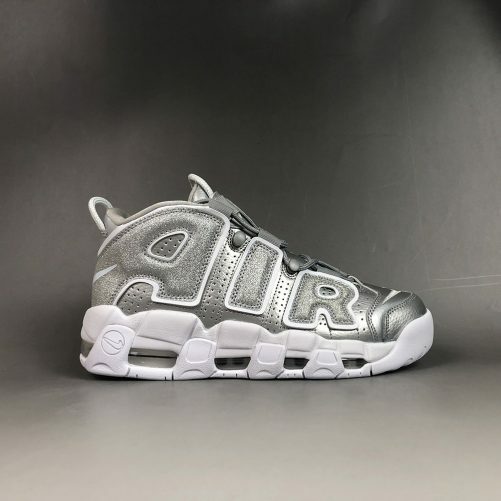 I love this thing like crazy and it is by far my favorite hoop shoe of 2017 so far. It’s number one in my rotation and I’m pretty sure it will be in many of yours as well. 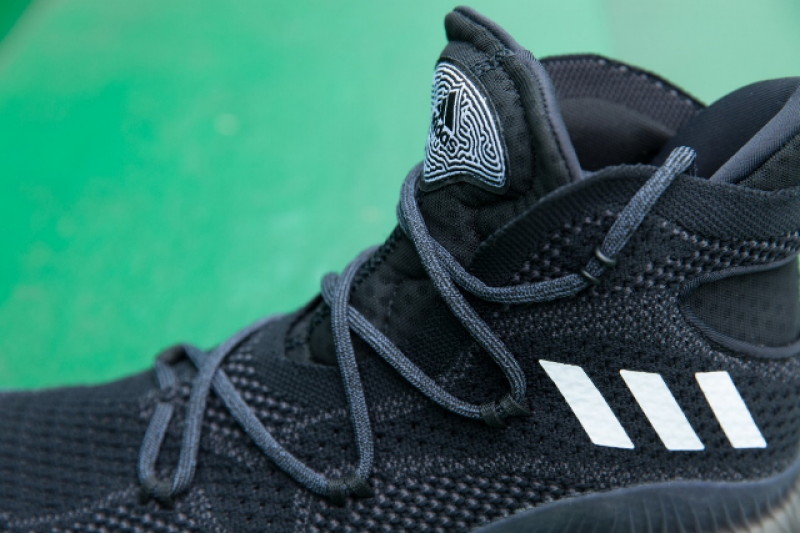 When we look back the 2016-17 season, the Andrew Wiggins play “it” as the guest of the Grizzlies’ FedEx Forum and scored a game-high 25 points, adidas Crazy Explosive has been popular in that time till now . 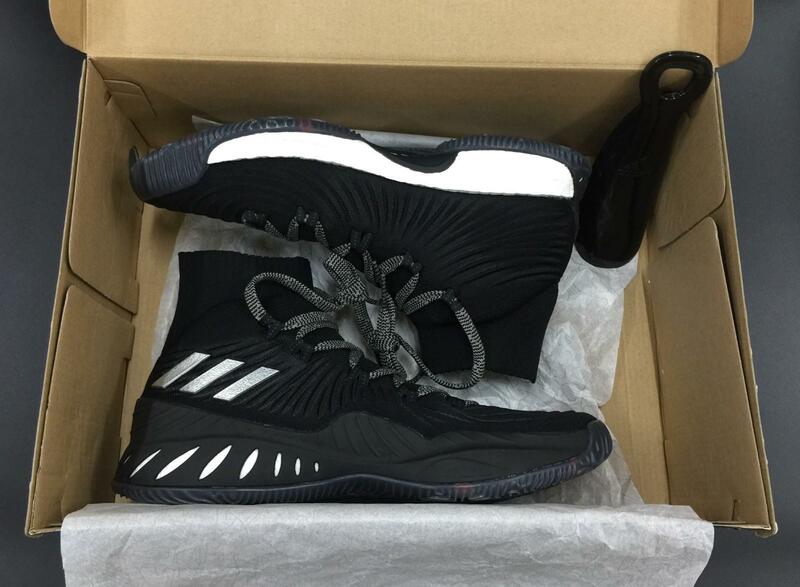 adidas released Crazy Explosive in 2016, and Andrew Wiggins, as the spokesperson for the shoes. 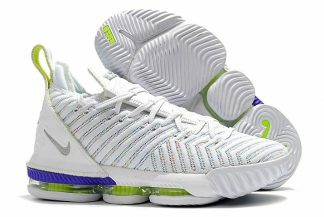 This series is more innovative than the other models in terms of design and technology. 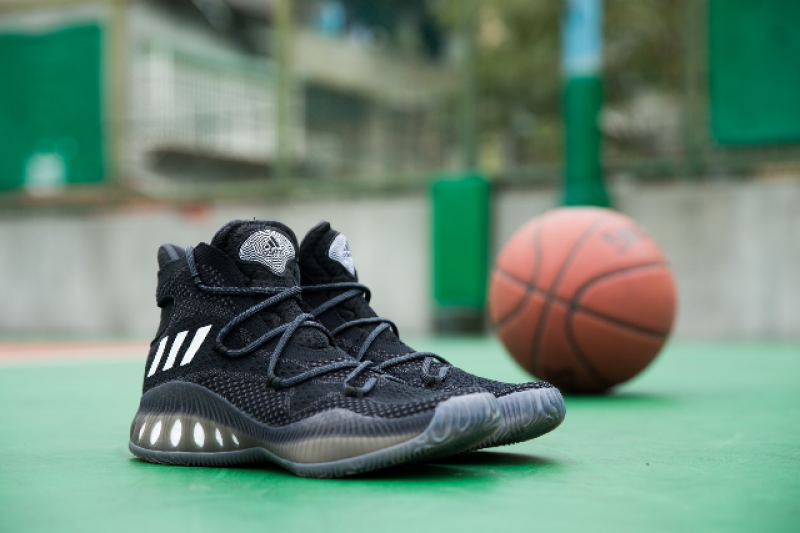 adidas Crazy Explosive 2017 Primeknit features a one-piece bootie upper with the newly forged Primeknit that uses a raised wave pattern.as we know , the Primeknit woven structure is breathable and lightweight, but the stability is not enough, but the Crazy Explosive 2017 improved a little for the material ,it will be better. 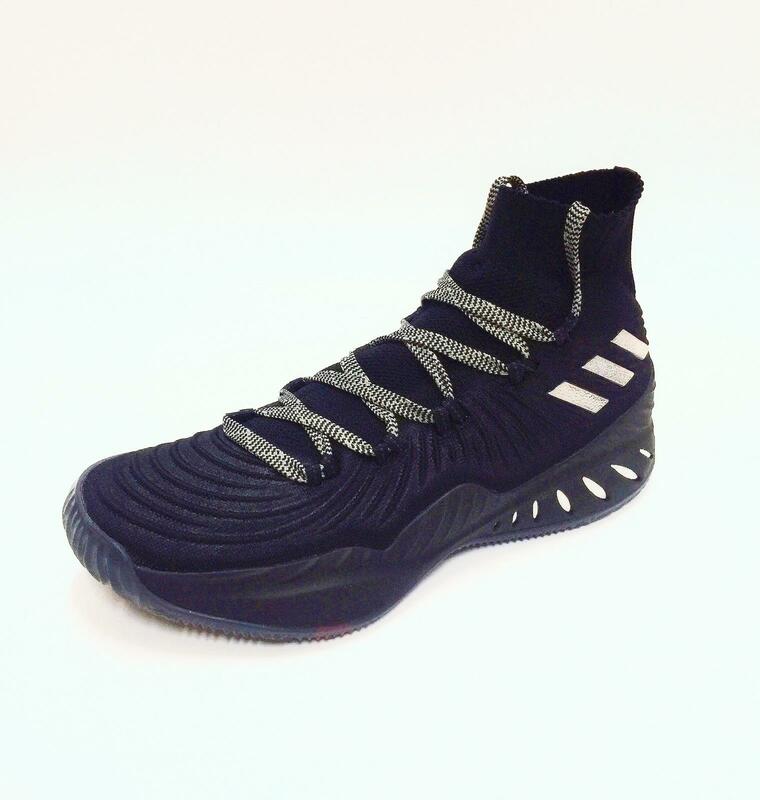 Now the adidas Crazy Explosive 2017 still used the Primeknit again ,but it features a one-piece bootie upper with the newly forged Primeknit. That is help a lot for the stability . 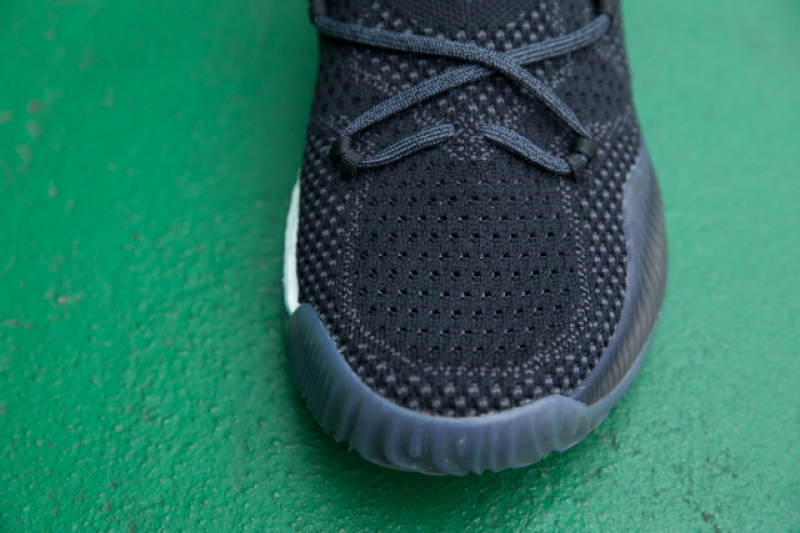 It not only enhances the three-dimensional support between the braided wires, but also allows the upper to have more space to withstand the compression. 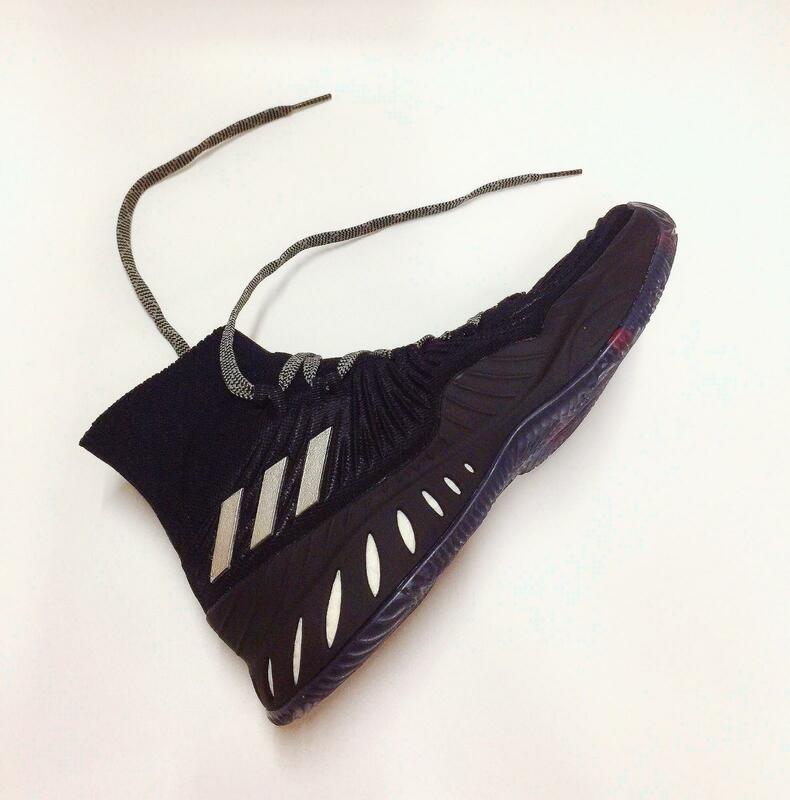 When the force is applied, the upper can maintain its original shape without distortion.adidas removed the GeoFit inner sleeve on the adidas Crazy Explosive 2017 Primeknit in favor of a sock-like ankle collar with soft inserts at the tongue and around the ankles for comfort. that is can help a lot for the lockdown. 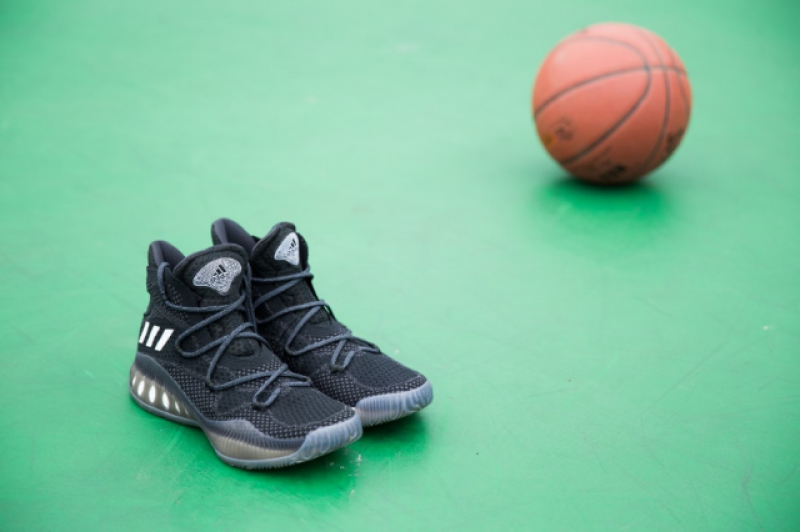 TPU material plays a key role in the Crazy Explosive series of shoes. 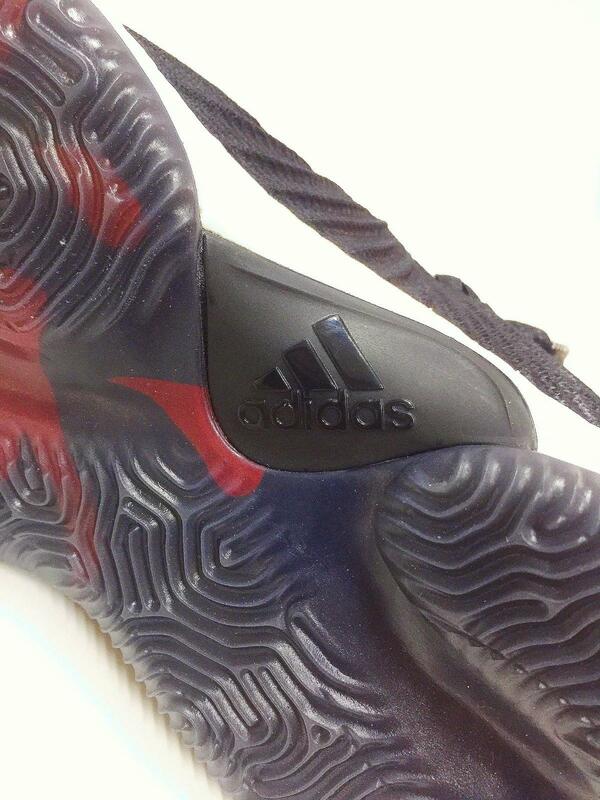 In addition to the whole full length Boost is covered with TPU, from the coral-like through to the side of sole . 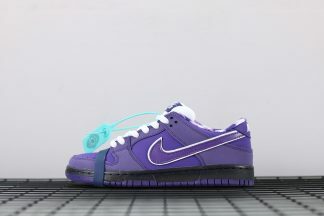 And using TPU material, which more maintain their fine traditions, but after the actual measurement, we will felt great . 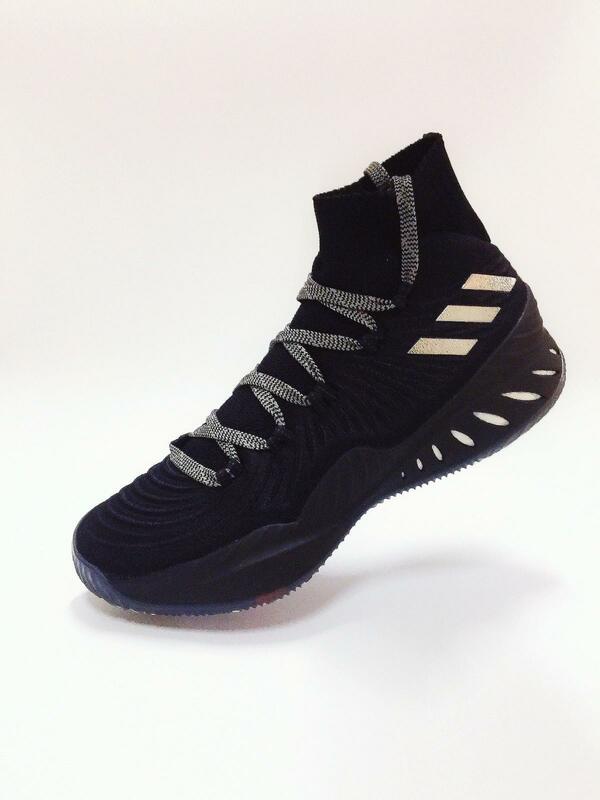 The adidas Crazy Explosive 2017 Primeknit retains the same setup as last year’s Crazy Explosive which full-length Boost with a soft TPU cage on the lateral side of the shoe while the medial side exposes the Boost. I like this kind of cushioning very much. 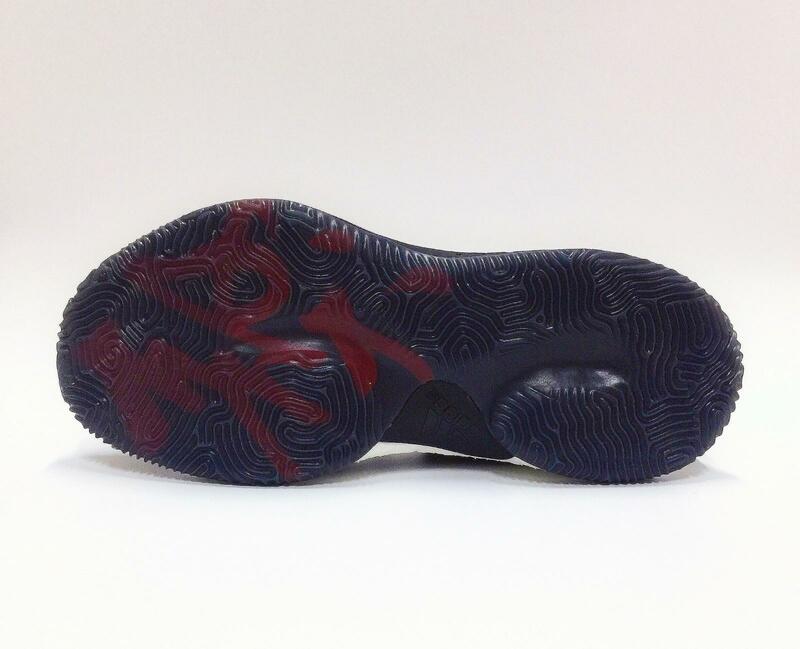 Like the last model, the cushioning did a great job , we can felt a great soft and comfortable for the midsole part. But for some one ,maybe they dont like it too much , because of it will be softer . 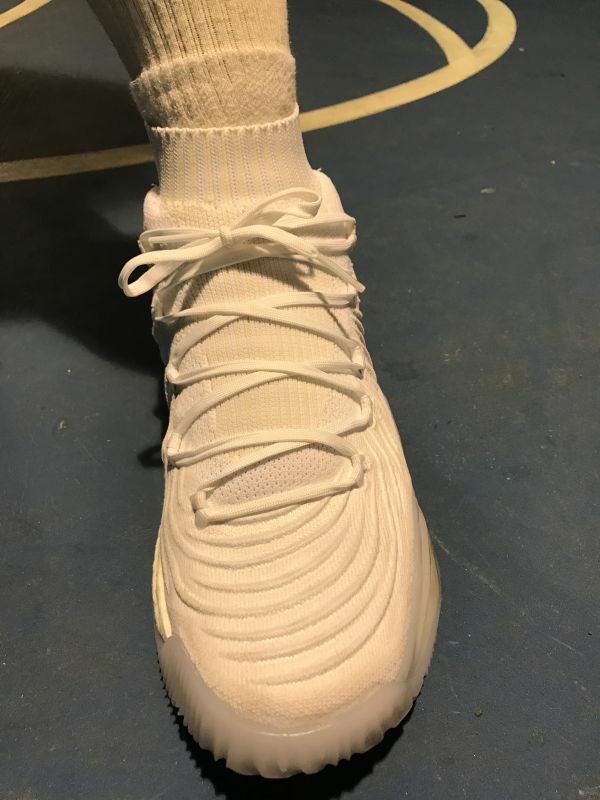 The shoes use the sock-style design. 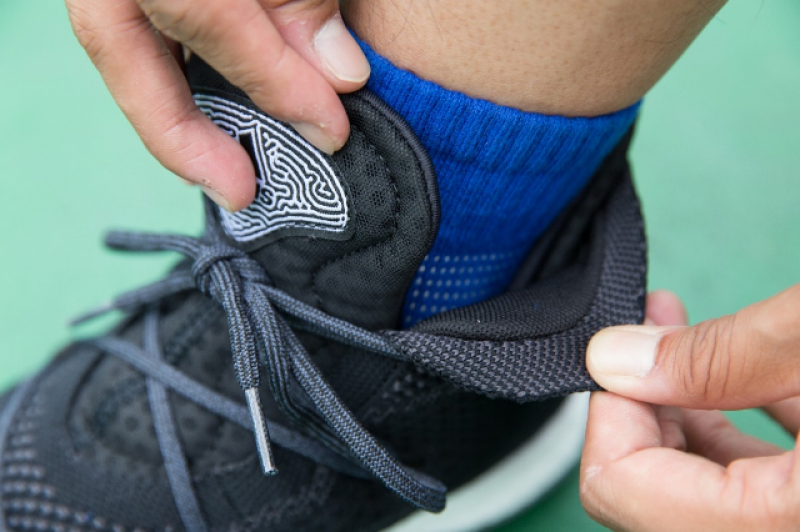 The most importantly is that different from last mode , this version has subtly added a pair of laces in the middle section to make the density between the lace groups. 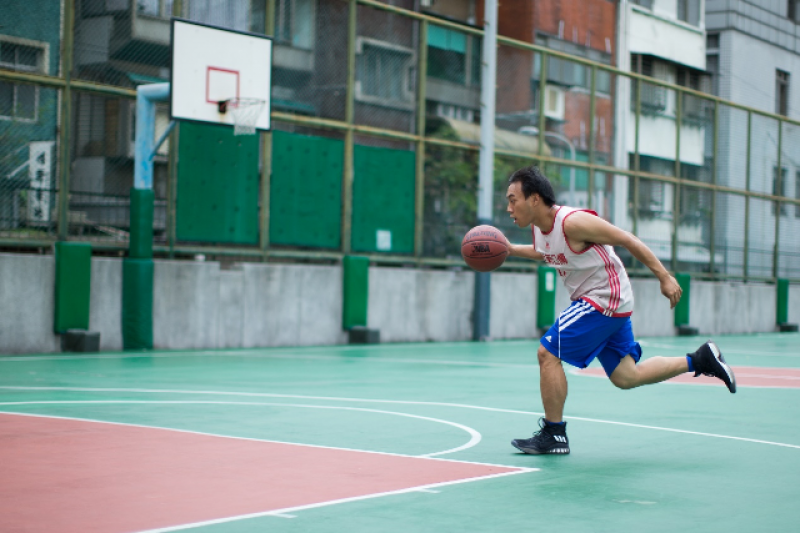 that is help the entire ankle front which wrapped well when you moved fast . 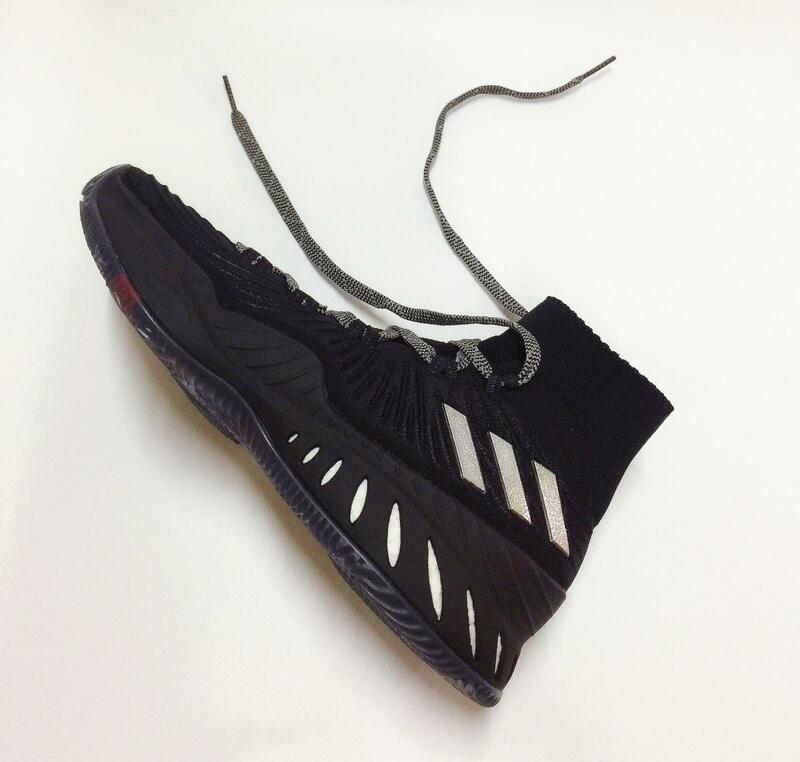 The sock design also improved the lockdown the feet .Moreover, your foot sits inside of the TPU roll cage to offer the lateral support we loved so much in the Crazy Explosive last year. 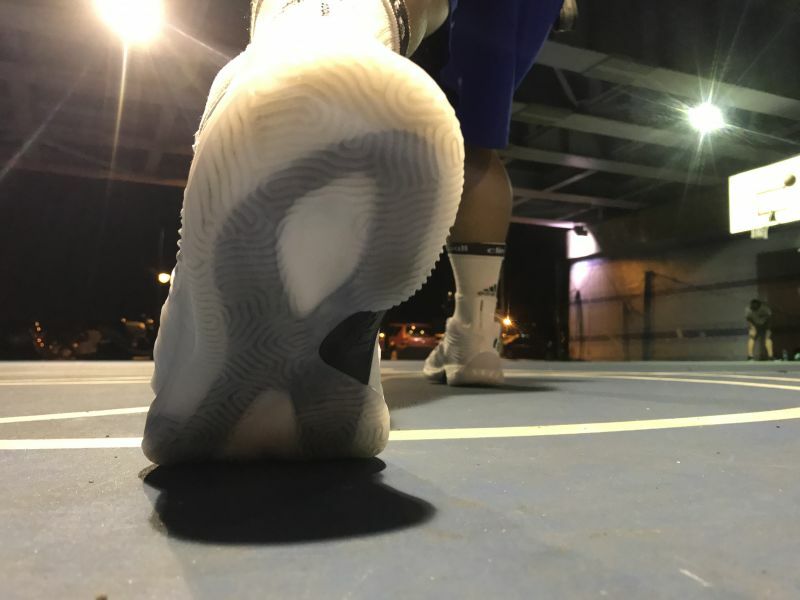 The s hoes used the TPU rubber traction with the translucent traction .With TPU material rubber soles and multi-directional pattern.At firstly , I tested in the outside court and found that the traction pattern is not great when making emergency stop and side shift under the dusty field. 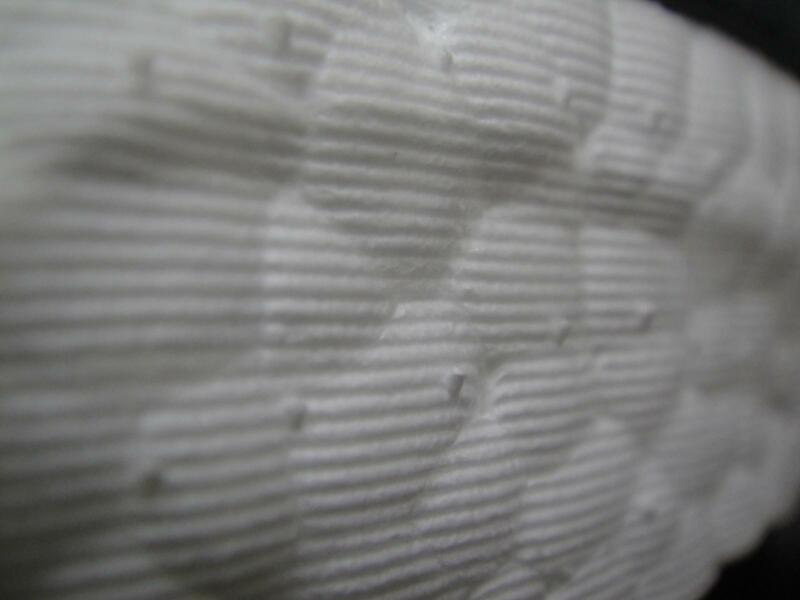 The traction will be slightly sliding and the most important is the pattern had worn out. However, when it comes to indoor wooden flooring, the rubber performance well . The grip is nice . If you use it in the right place, such as a clean, well-maintained indoor , or a variety of wooden floors, I believe you will feel its strong stability and grip. then the translucent pattern , s we know , it is not easy to keep . 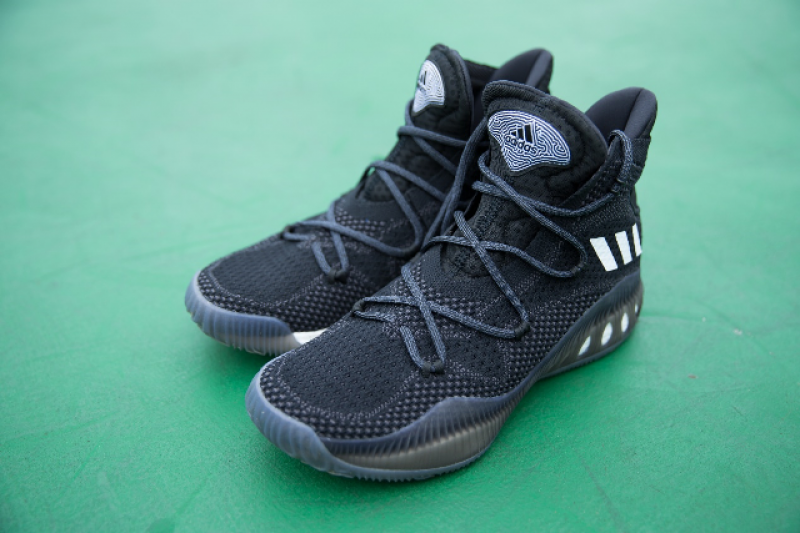 Overall , the adidas Crazy Explosive 2017 Primeknit is a great shoe! 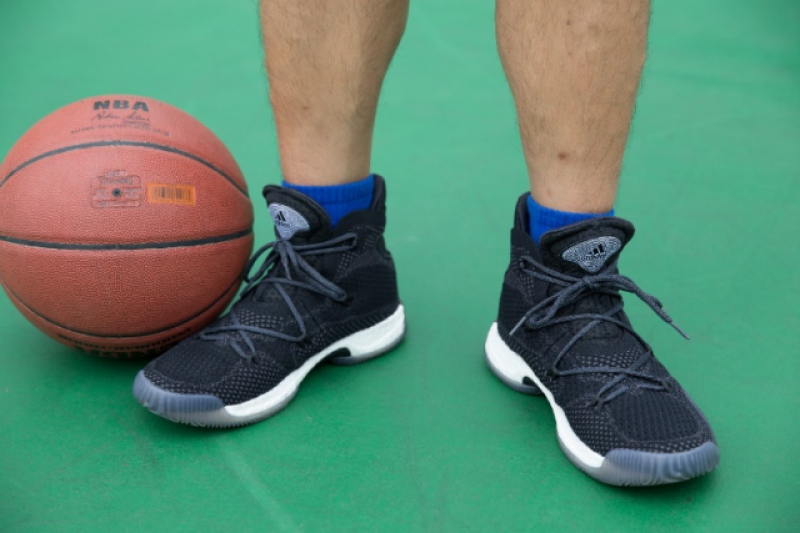 I love this thing like crazy and it is by far my favorite hoop shoe of 2017 so far. 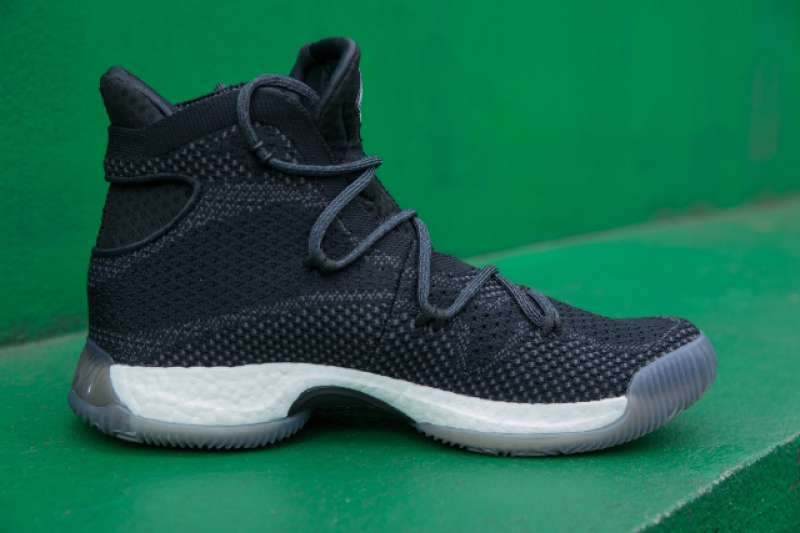 The cushioning is nice and the supporting just ok . if you like the strong supporting ,maybe the Jordans will be best for you . 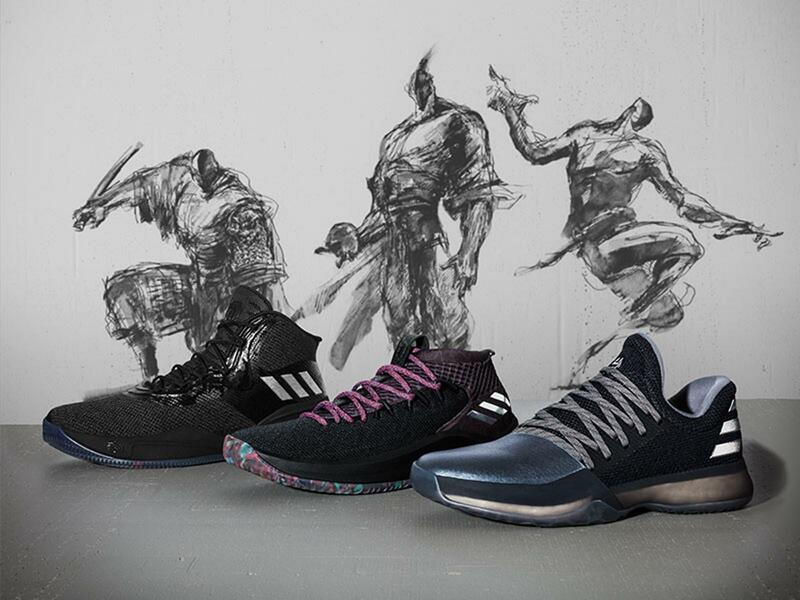 The major sports brands are paying more and more attention to the Chinese market, they have been released more and newest products to attract ,especially for the CNY (CHINA NEW YEAR) theme series from the Adidas in 2018 Year of the Dog. In 2018, adidas changed the bright red elements of the colorway. 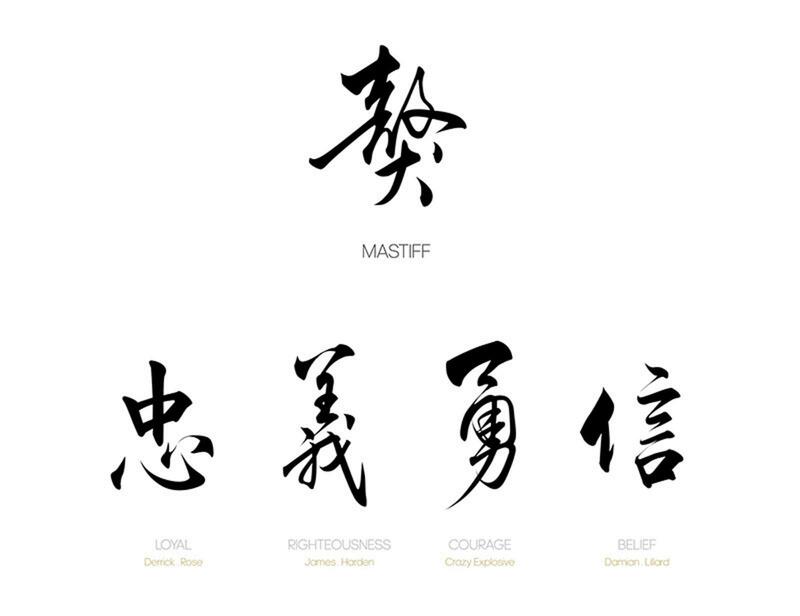 but released four dark black with theme of the spiritual elements – “loyalty, righteousness, believe and courage”. 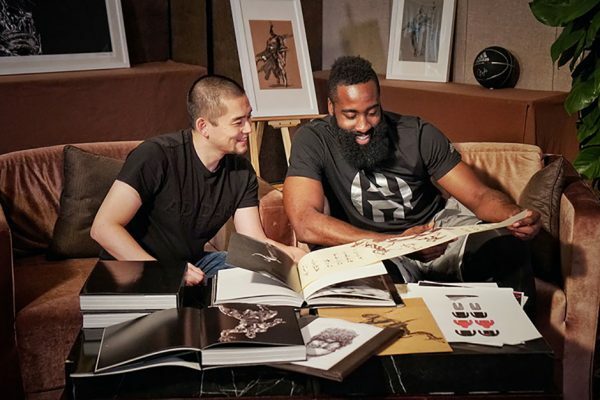 At this point, we have to mention the designer Ren Zhe of the Adidas CNY series. 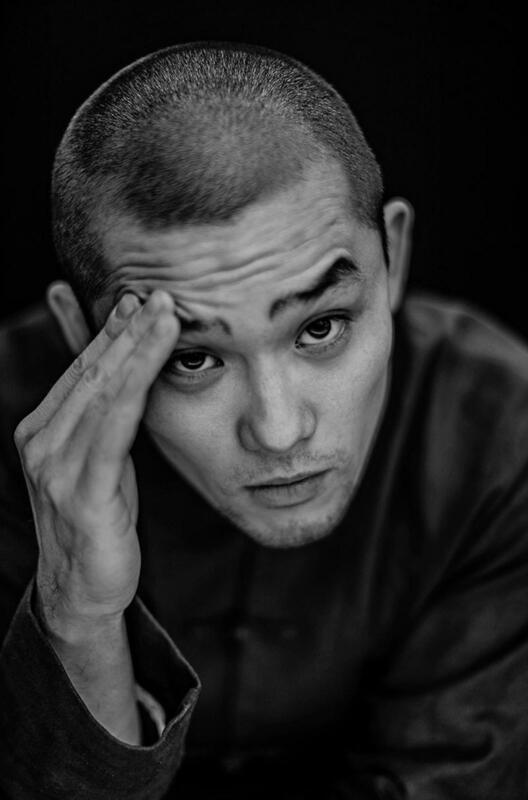 Ren Zhe, a sculptor, was born in Beijing in 1983. 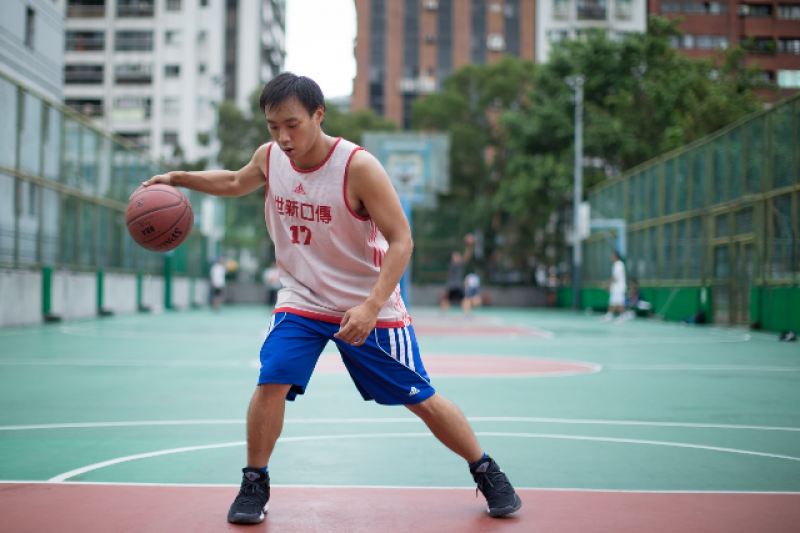 He graduated from the Tsinghua University in 2005. 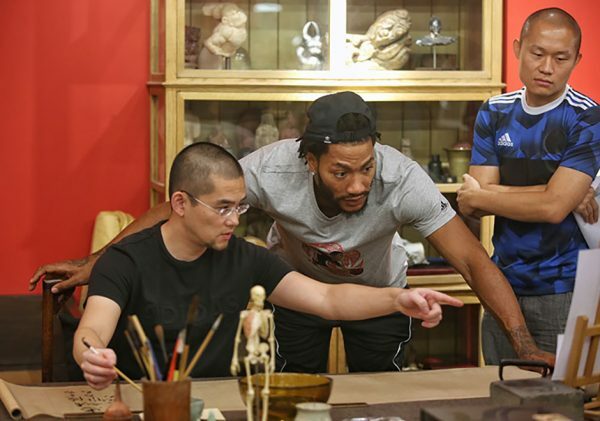 He the first Chinese artist designer of adidas. 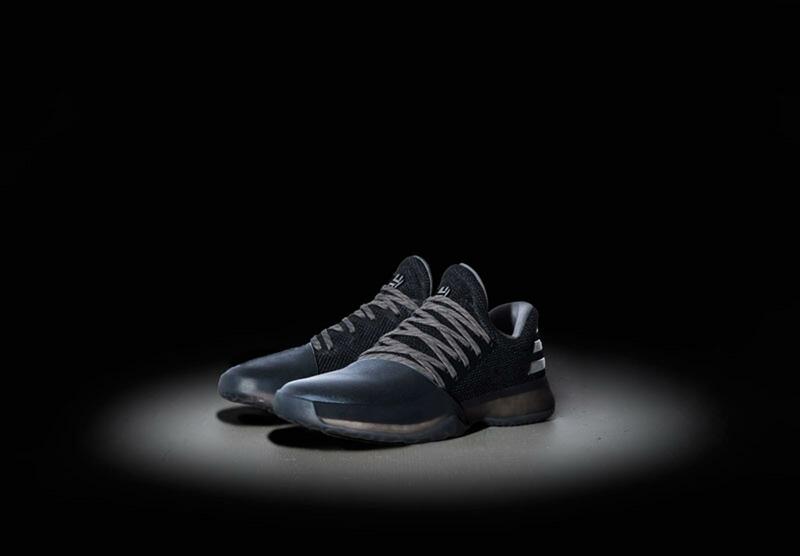 The results of this process were a new iridescent Harden Vol. 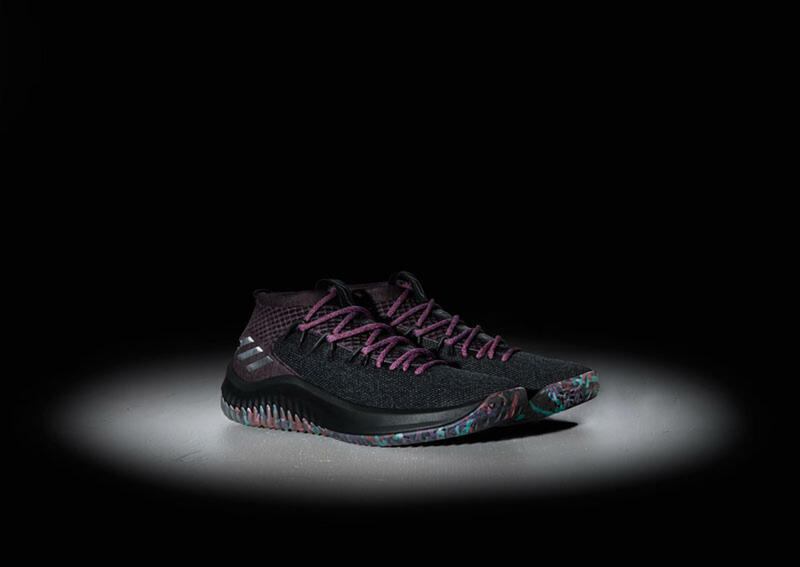 1, a pink-tinged Dame 4 with a wild multi-color outsole, and a sleek black D Rose 8 with shiny detailing. 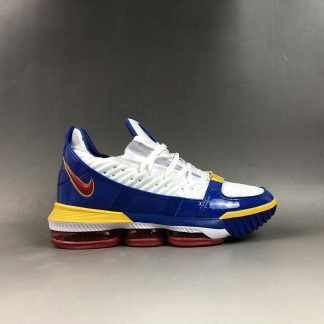 While no official release date has been set for these colorways, you can expect to see them sometime around Chinese New Year in February of 2018. 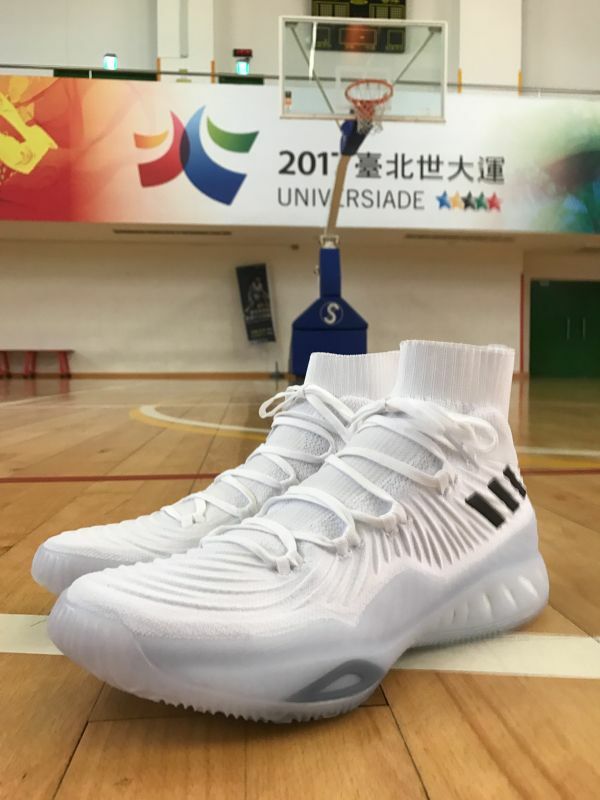 But we will talk about it today – Adidas Crazy Explosive 2017 PK “CNY”. 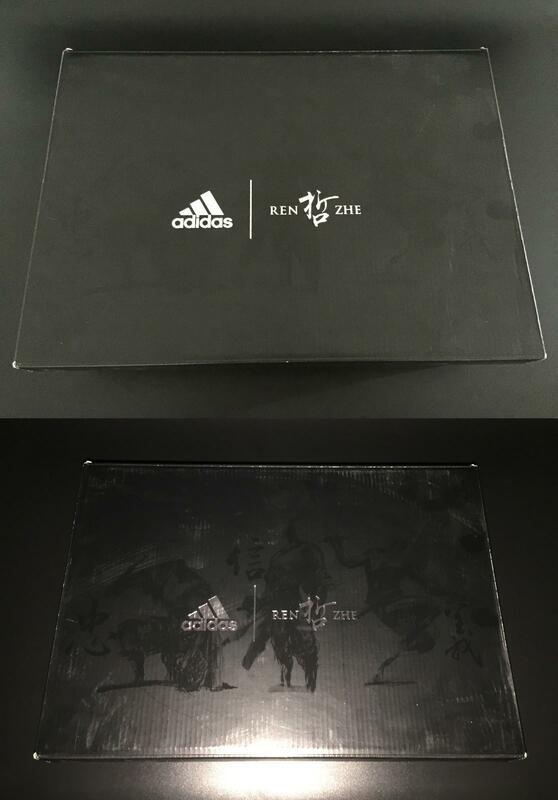 For the box ,it is normal with adidas. 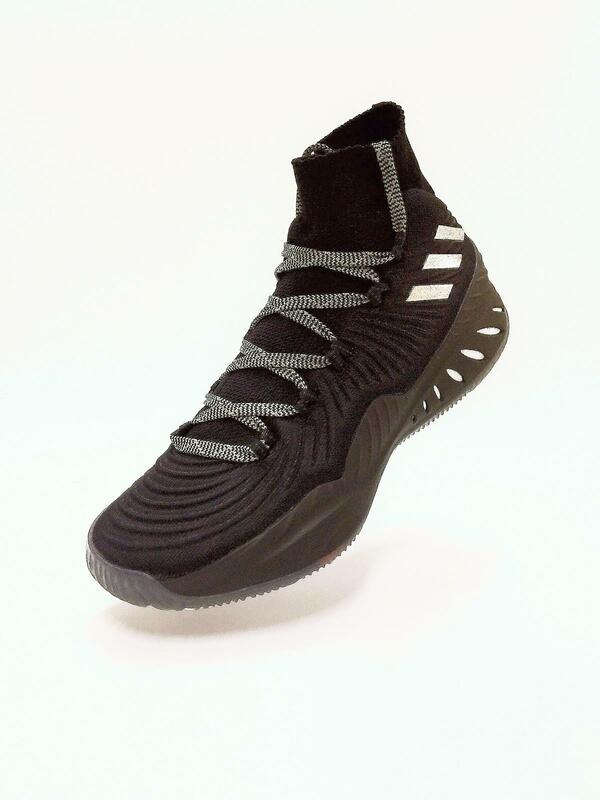 Now adidas took even a step further by introducing the new Primeknit upper with a sock like collar & slicker, more aggressive shiluatte since 2016 version. 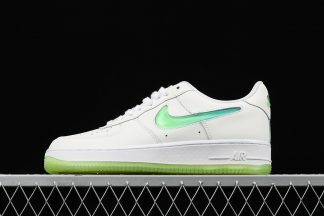 Because of the lightweight material , so the shoes just only the 436g for the size US 10. 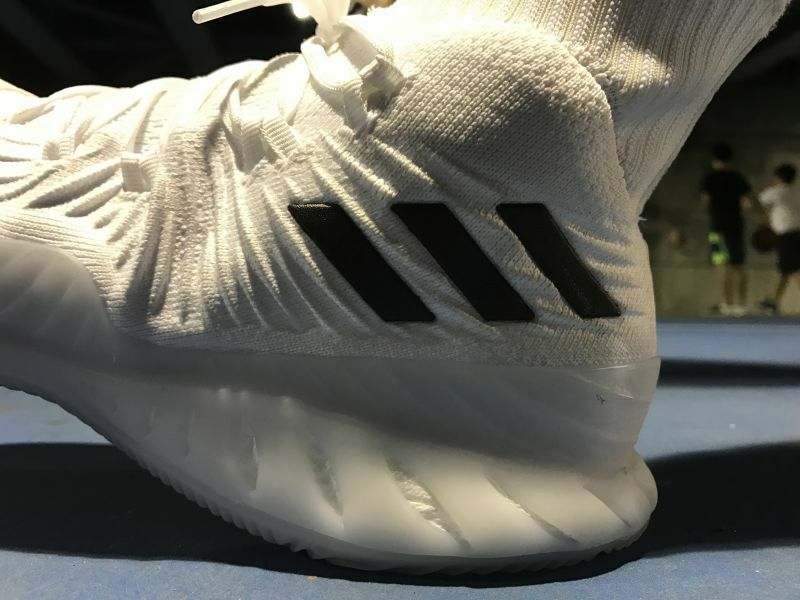 For the material:Primeknit is back again but it isn’t as soft and flexible like 2017 version. 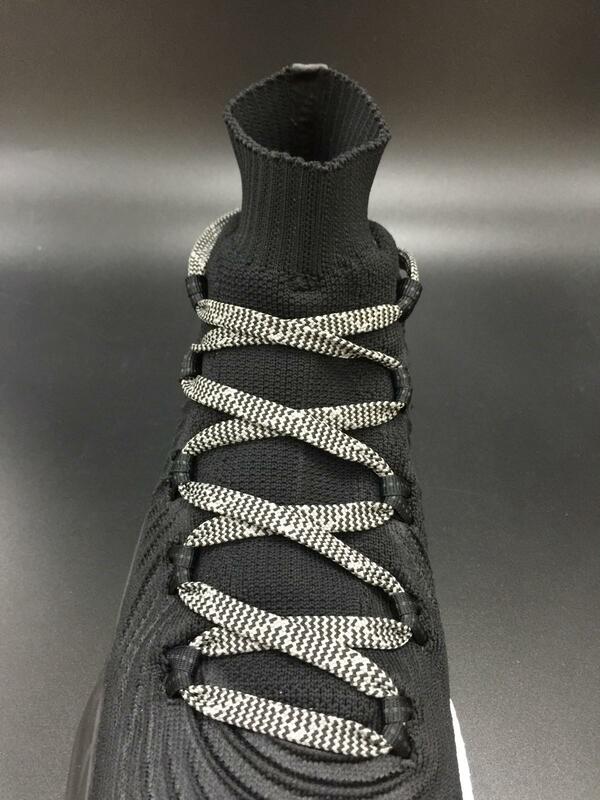 If you liked the softness of 2016 version , you can buy the 2017 version again.Forged Primeknit is what Adidas calls it and it’s basically Primeknit with “forged yarn” plus some light glue on 95% of the upper. 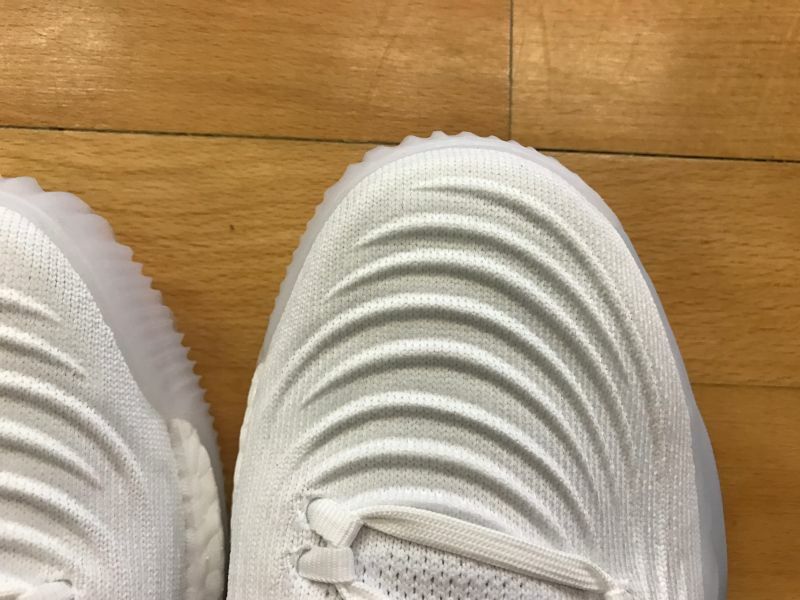 So this kind of material allow the foot to more naturally. For the lace system , it is nice to adjust by yourself. 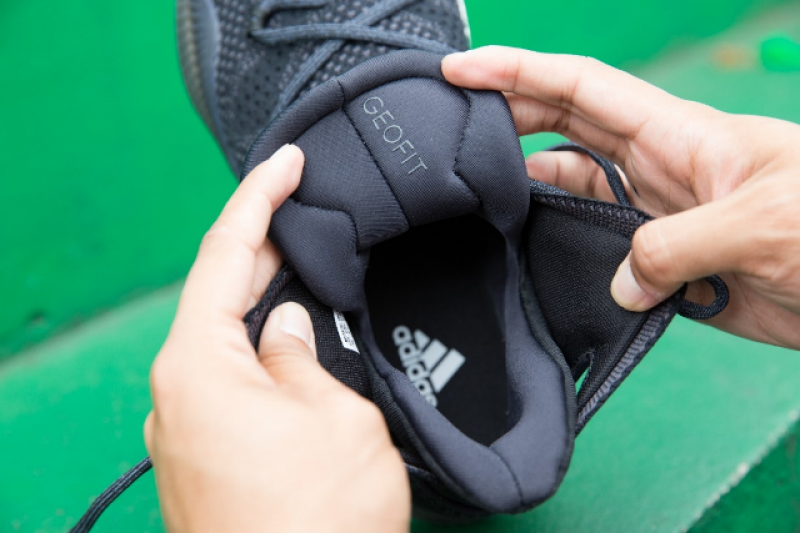 The whole BOOST cushion as usually , the soft foot feedback and responsive are amazing . 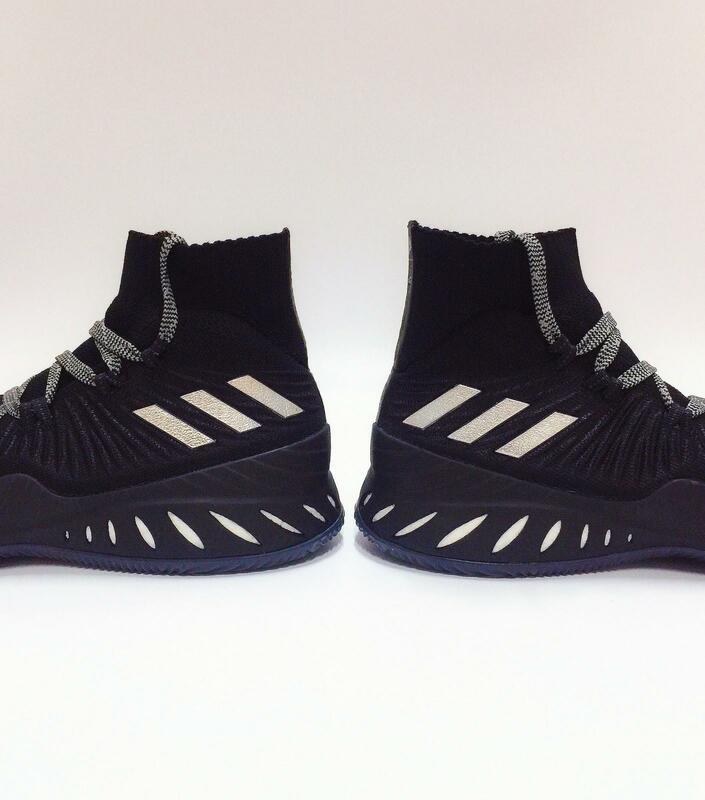 While the full-length Boost with a soft TPU cage on the lateral side of the shoe while the medial side exposes the Boost.Then the inner side of the BOOST midsole is completely open to receive that full potential of the BOOST power. 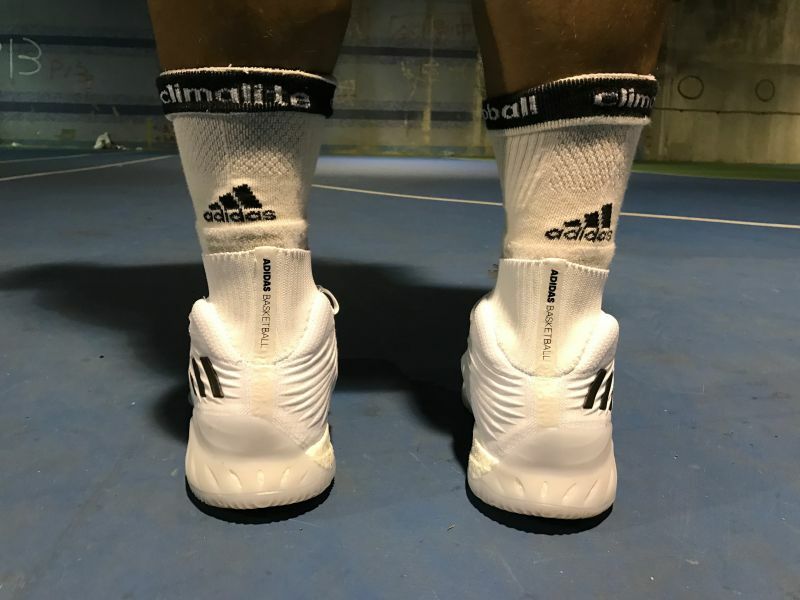 For the traction : it is used the same traction as the last model , so if you played in the clean courts, dirty courts, those 24 hour courts, it doesn’t matter. 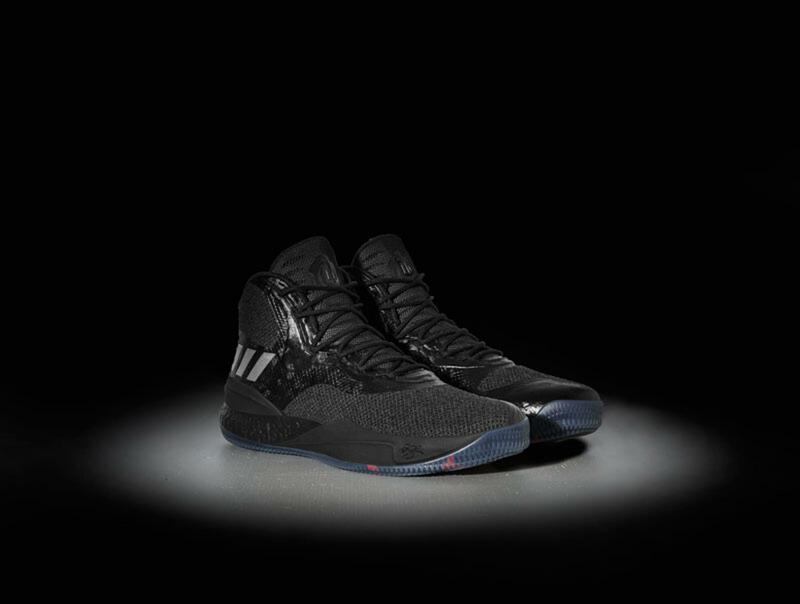 They will bite the hardwood any day of the week. 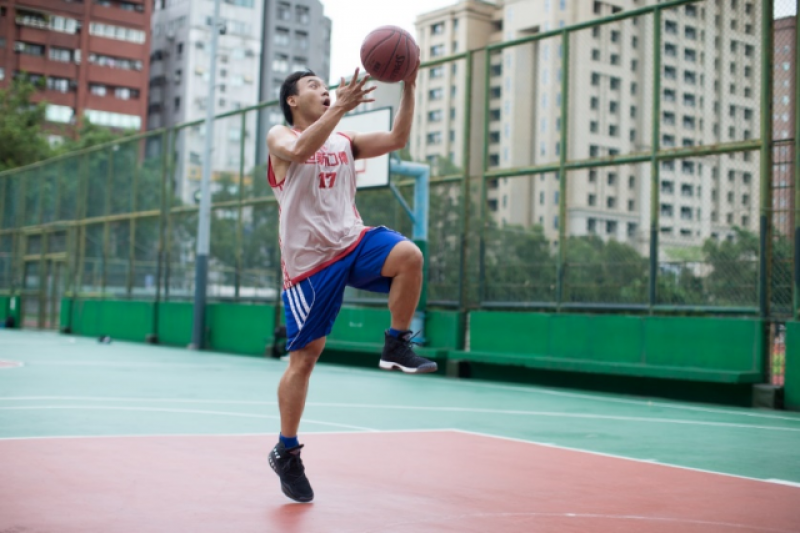 Wiping?yes ,it will be a little wear and tear if playing out court long time. 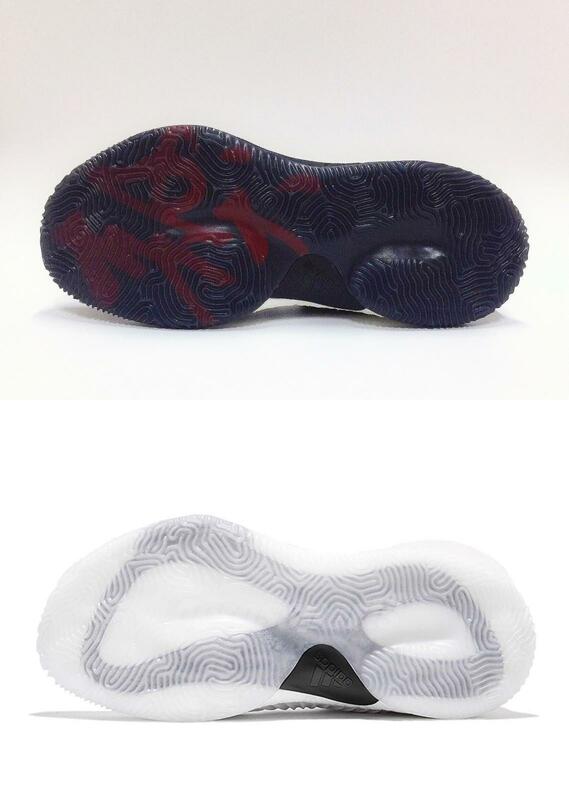 We can see the details from the insole,the insole has the spirit of “勇”, but the pattern is different from for left and right. Then we can see the collar design of hell part.i felt great. 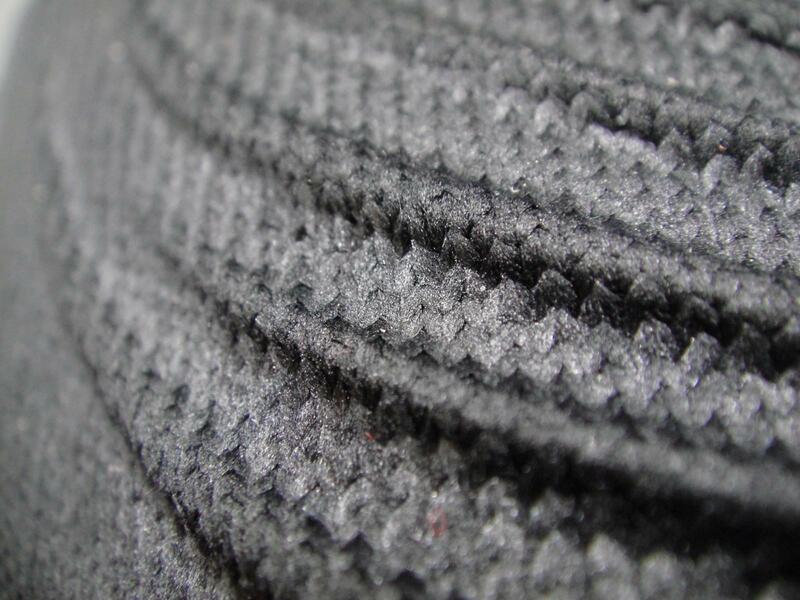 For the supporting,some part of supporting from the perimeknit upper which gets solid improvement. Of course, you’re giving away some softness & stretchiness. 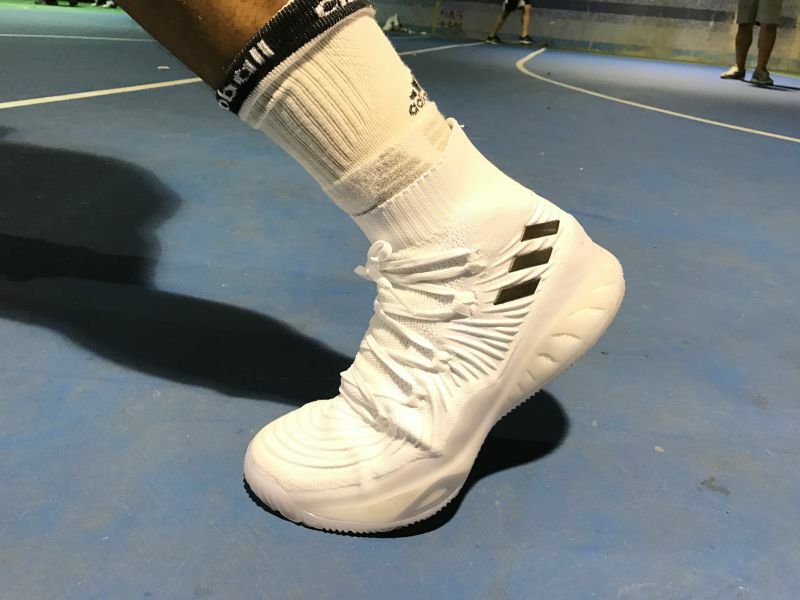 Overall, the adidas Crazy Explosive 2017 was amazing, as a fans . 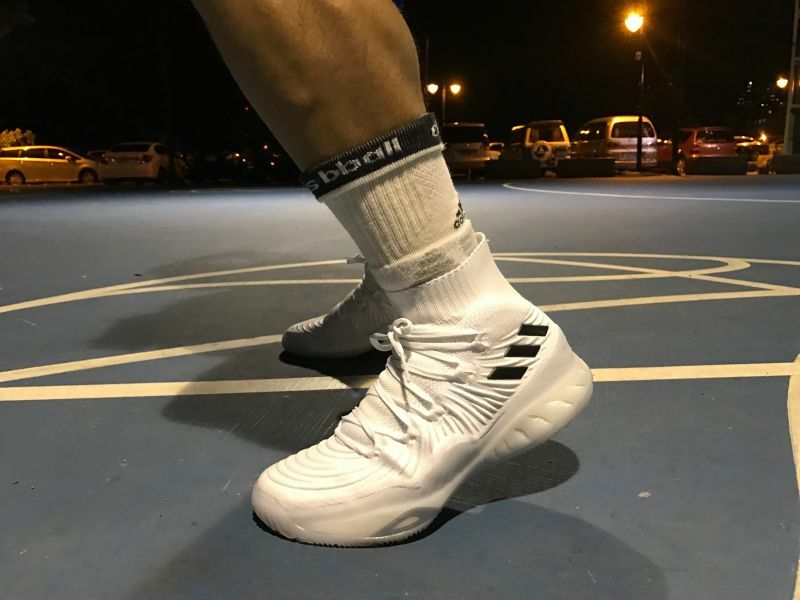 I have to say it is worth the price .Super responsive BOOST cushion, good traction, solid foot containment will let you to do anything on court with confidence & efficiency.